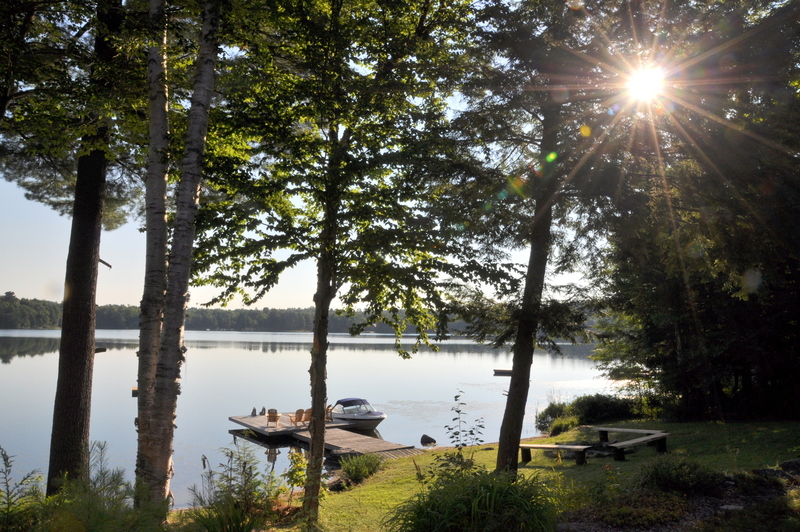 Welcome to the peaceful waters of Little Whitefish Lake. 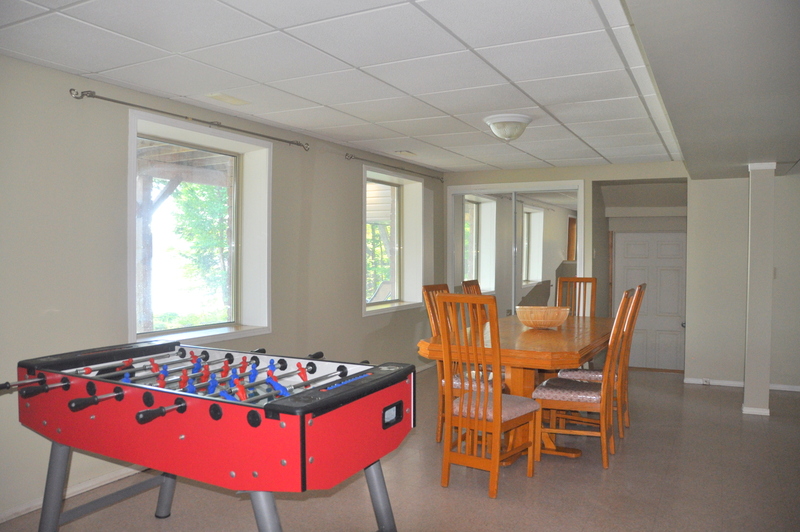 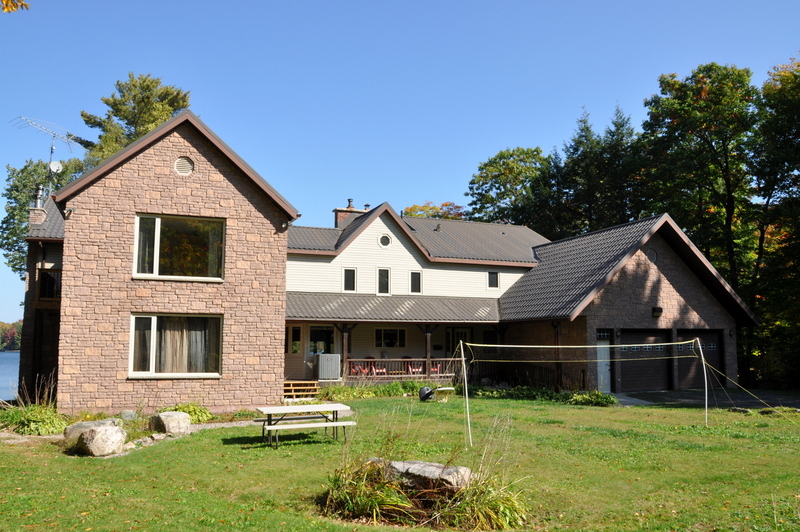 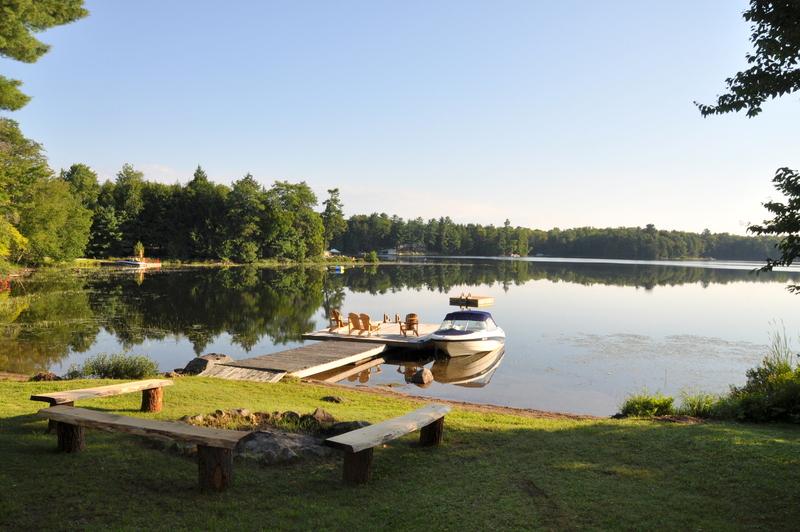 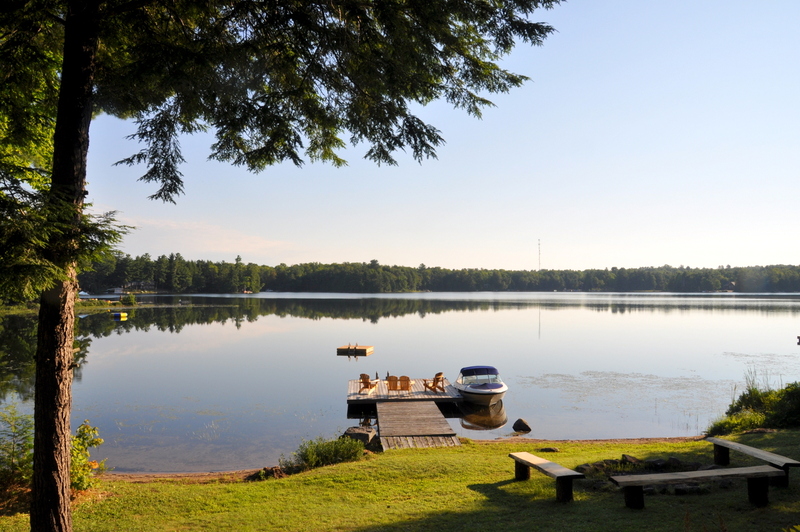 If you’re looking for a large cottage that can accommodate 2 families and offers plenty of non-motorized water toys, this it! 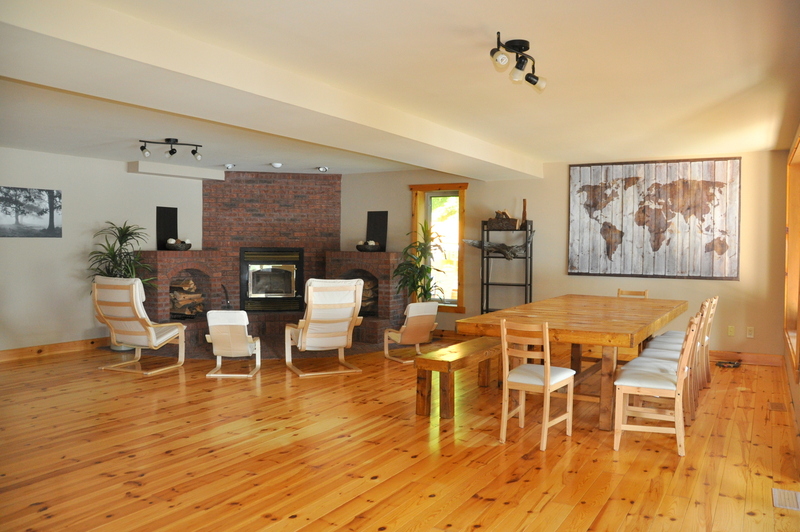 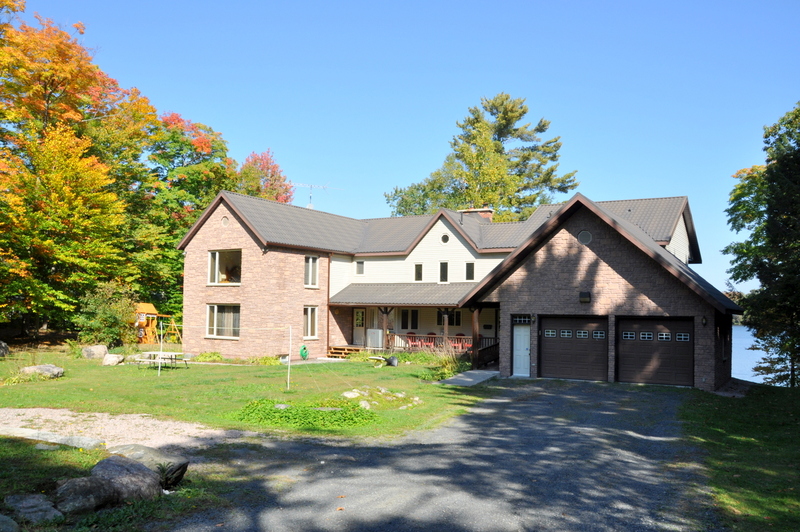 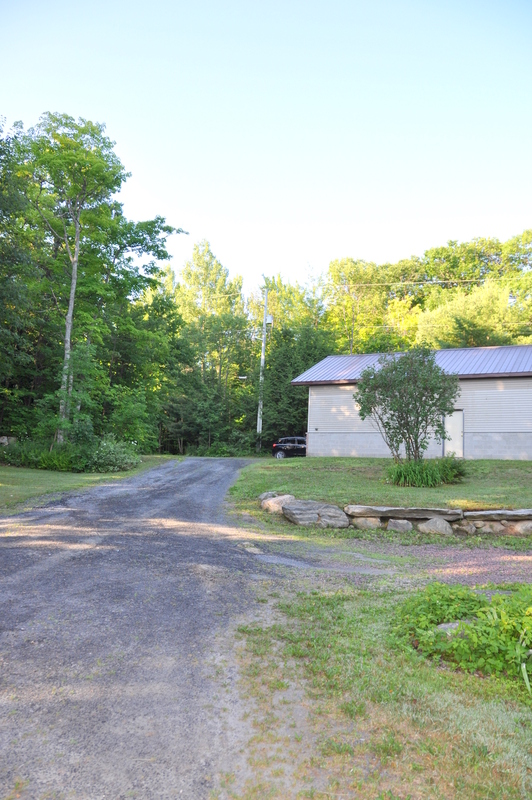 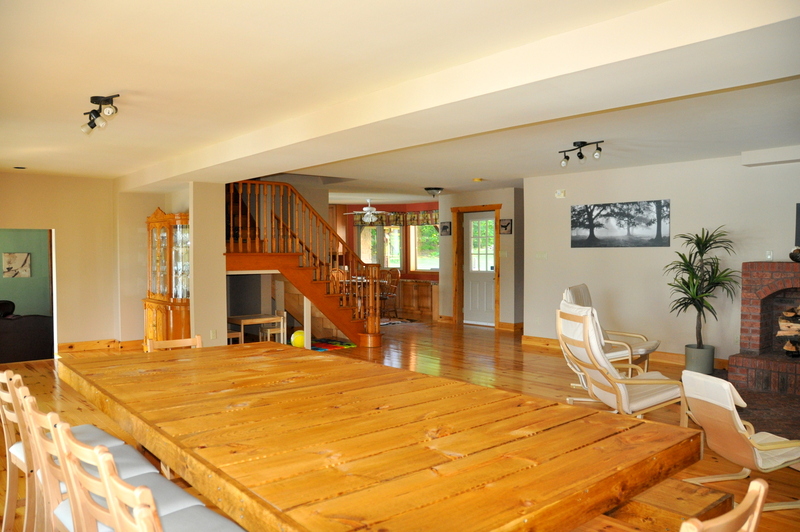 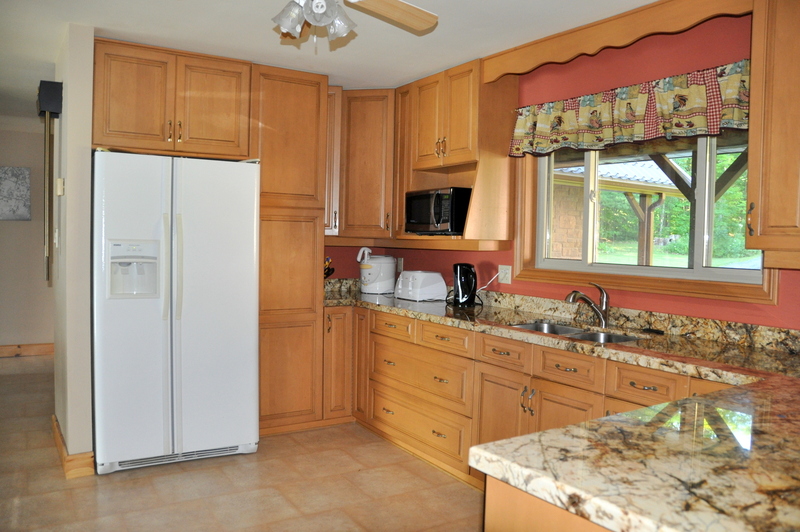 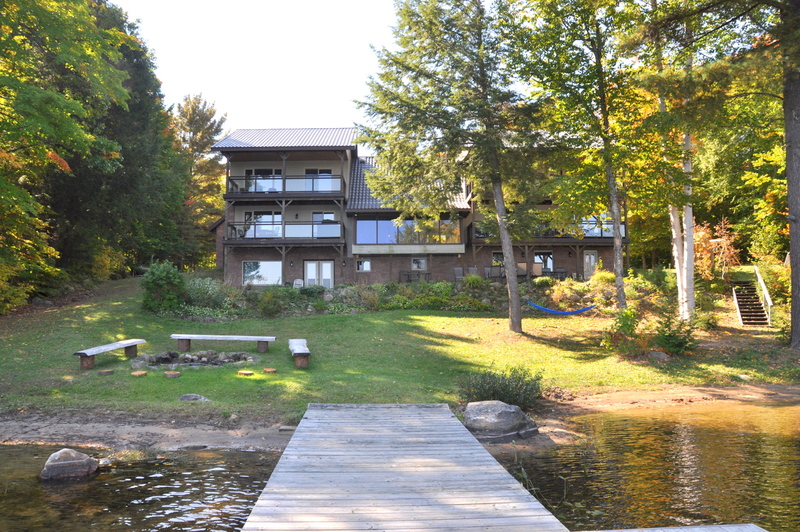 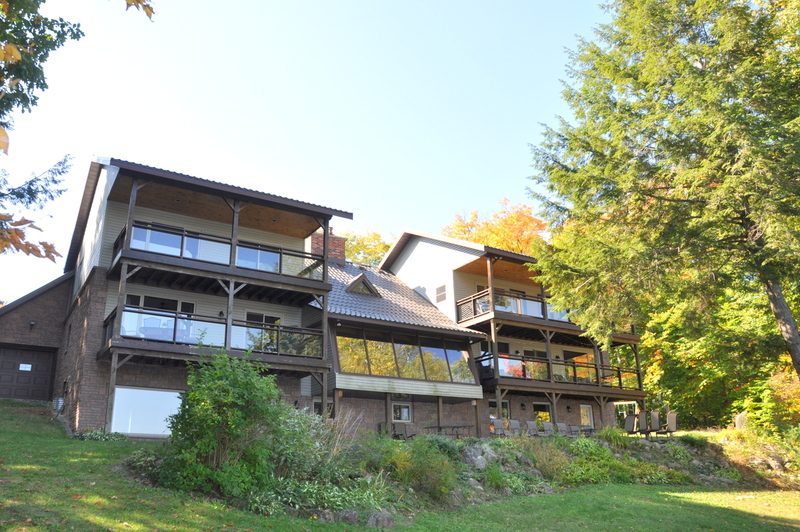 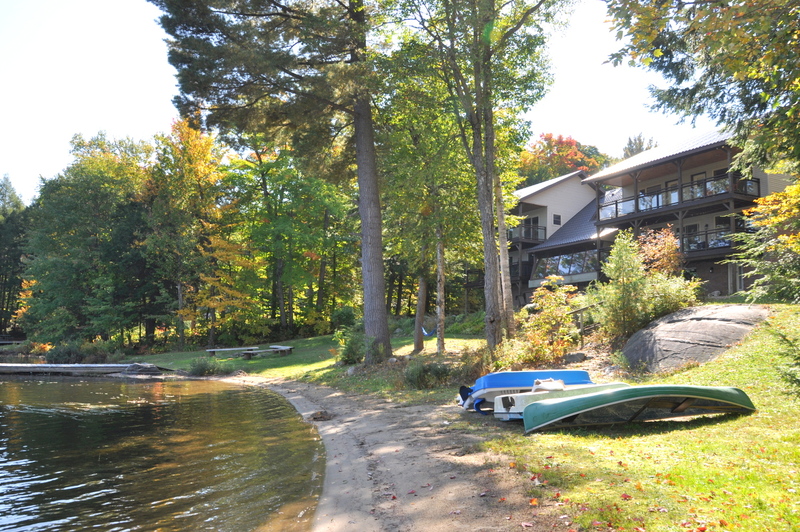 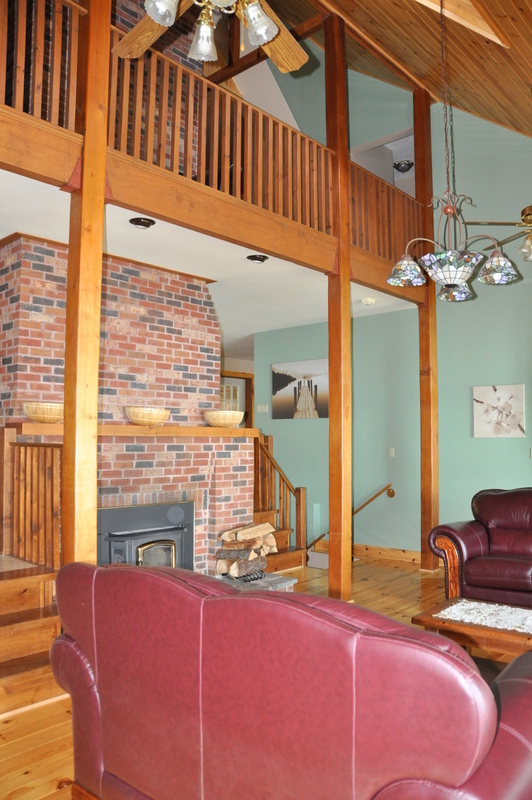 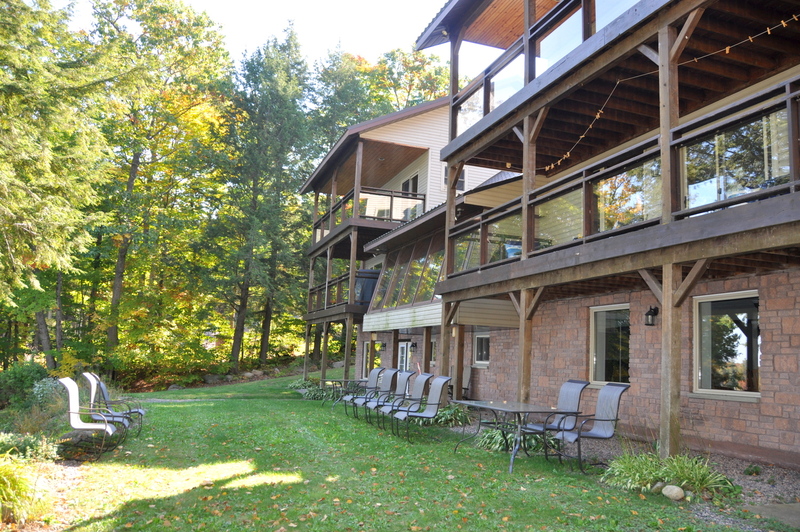 Situated on 2 acres of land, with 200 feet of waterfront, this spacious 5,300 sq. 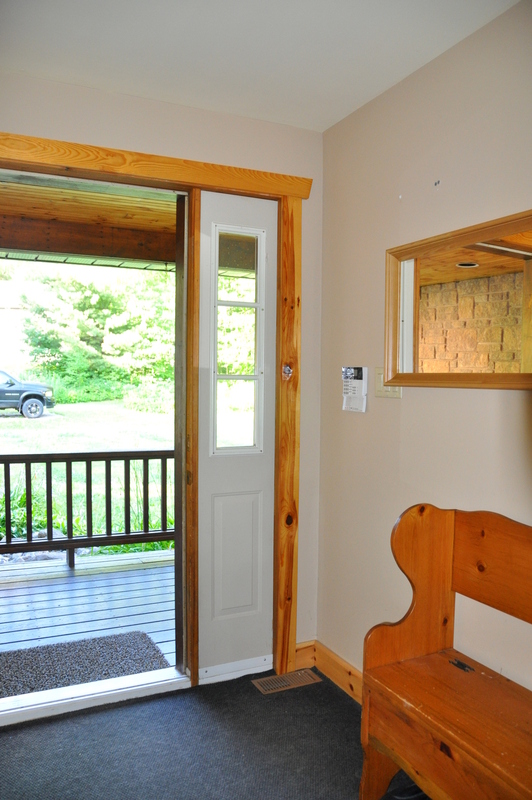 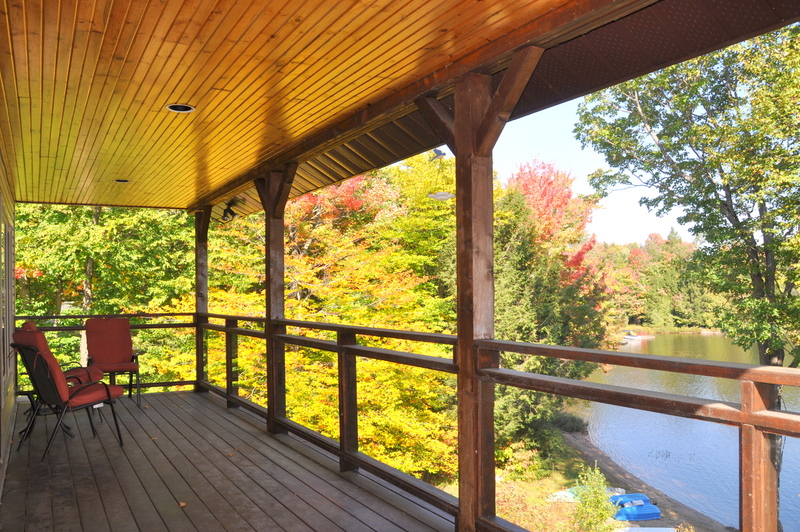 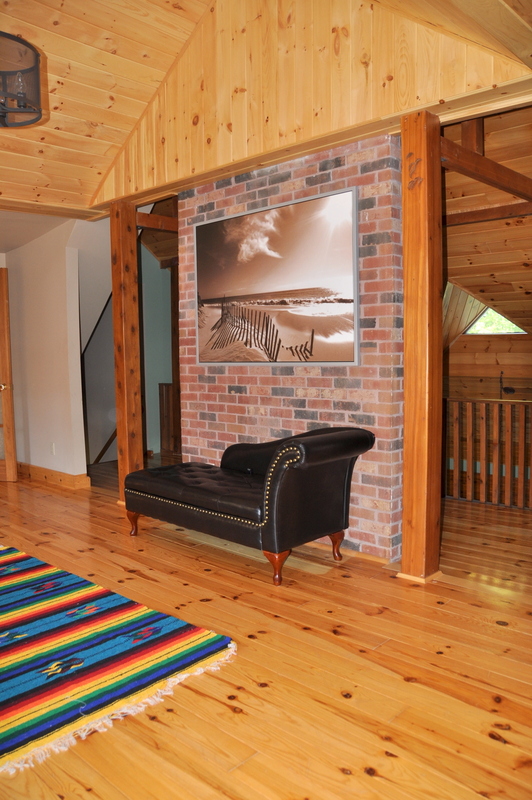 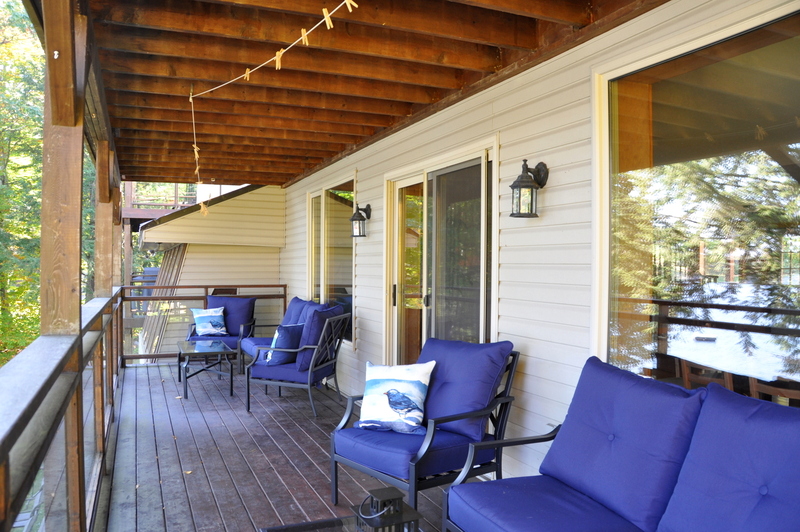 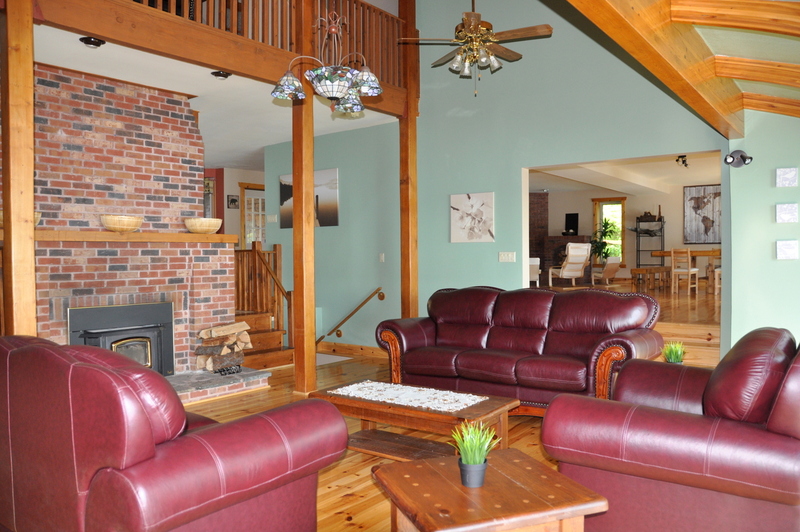 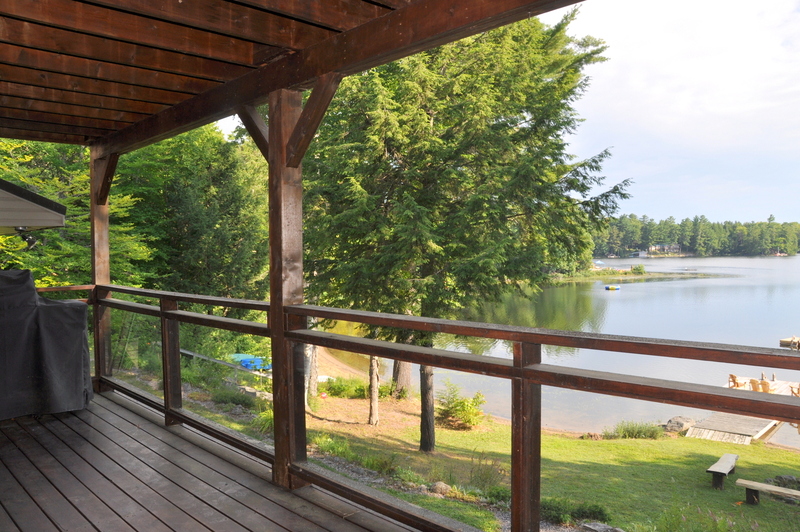 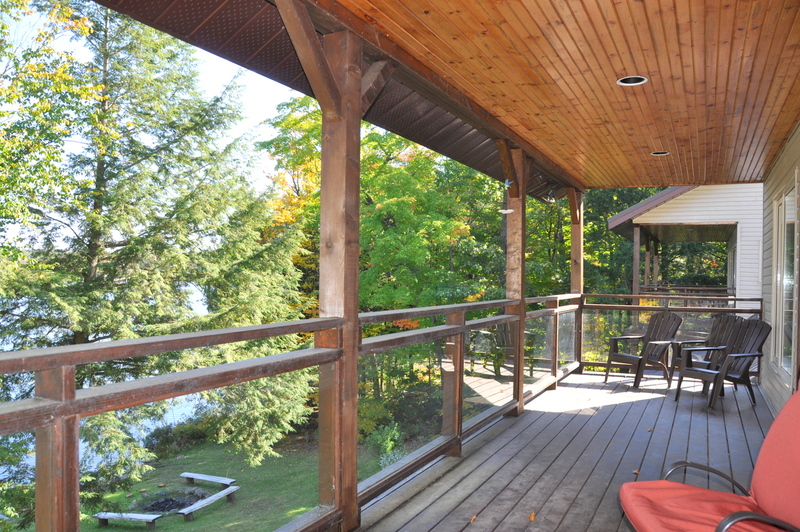 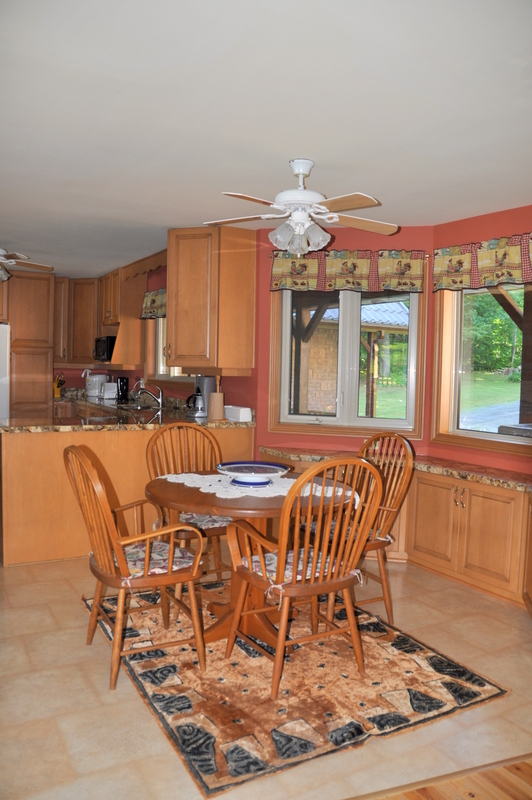 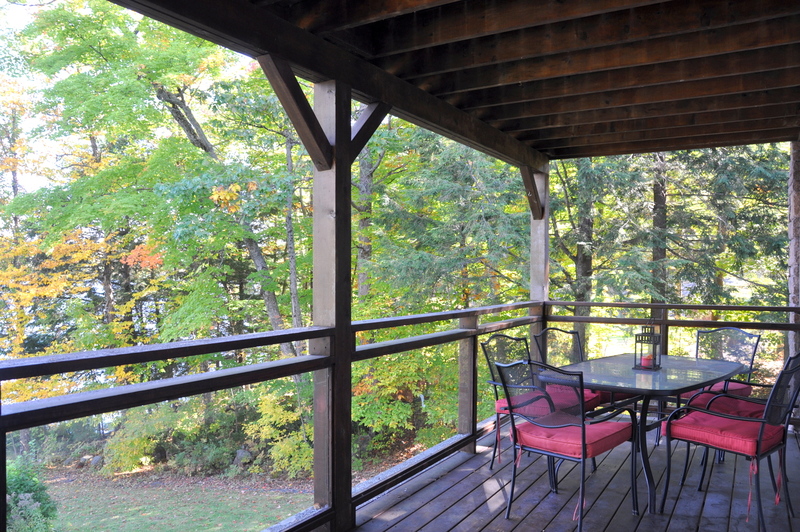 ft. retreat has 3 levels of living space and a multitude of covered walk-out decks and fabulous lake views from most every room in the cottage. 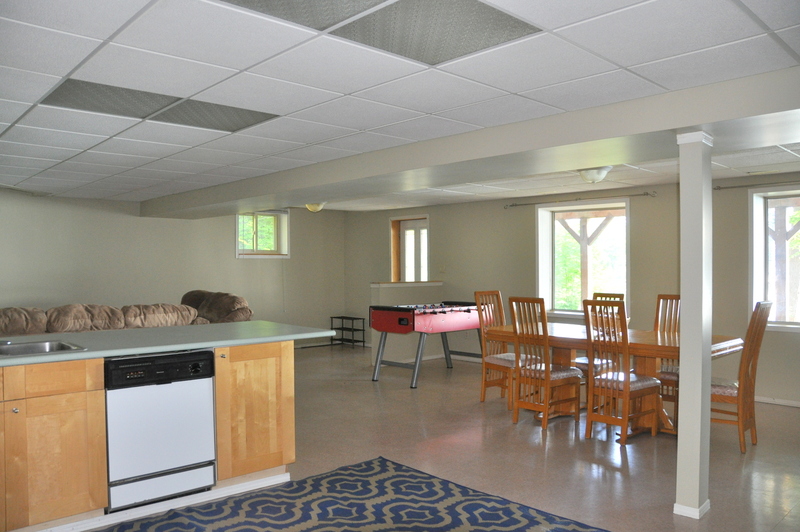 The lower level is a fully self-sufficient living space with its own kitchen, ideal for sharing with extra family or friends. 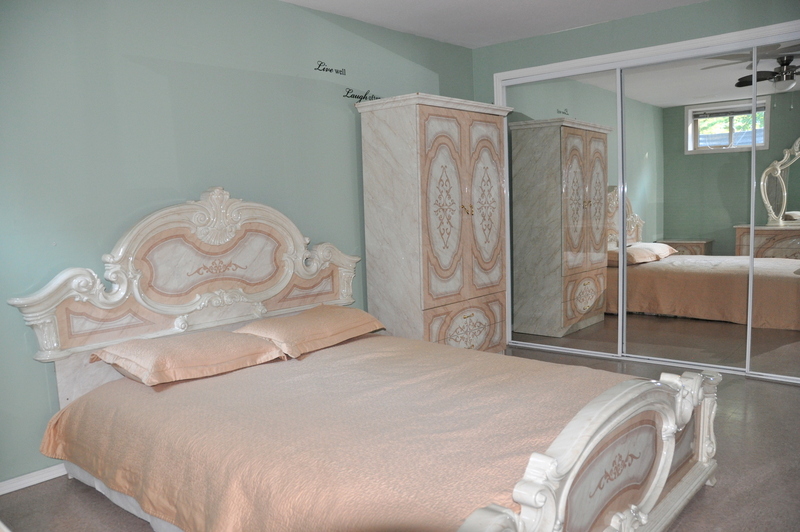 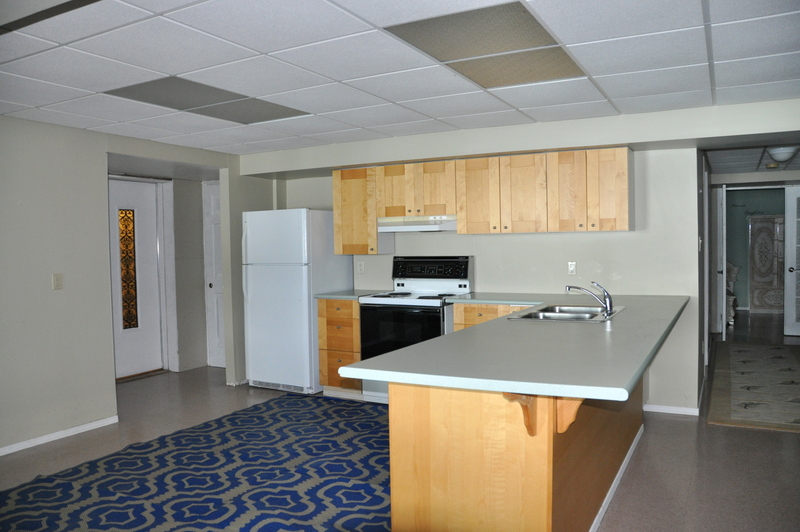 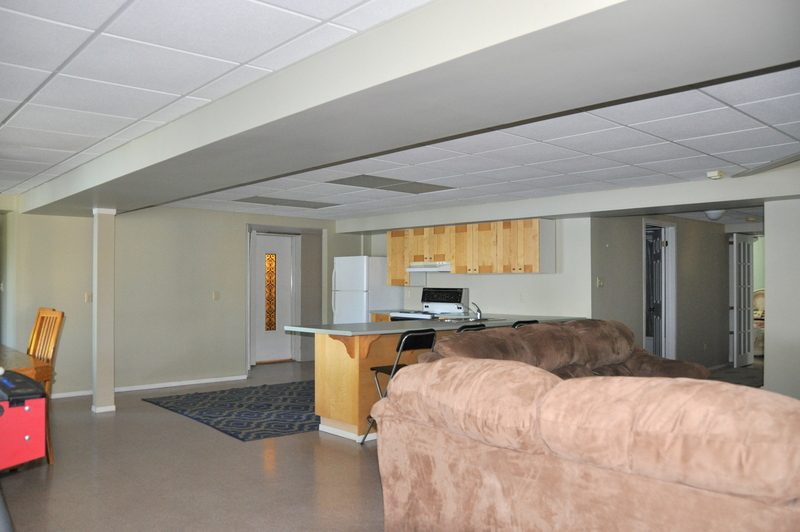 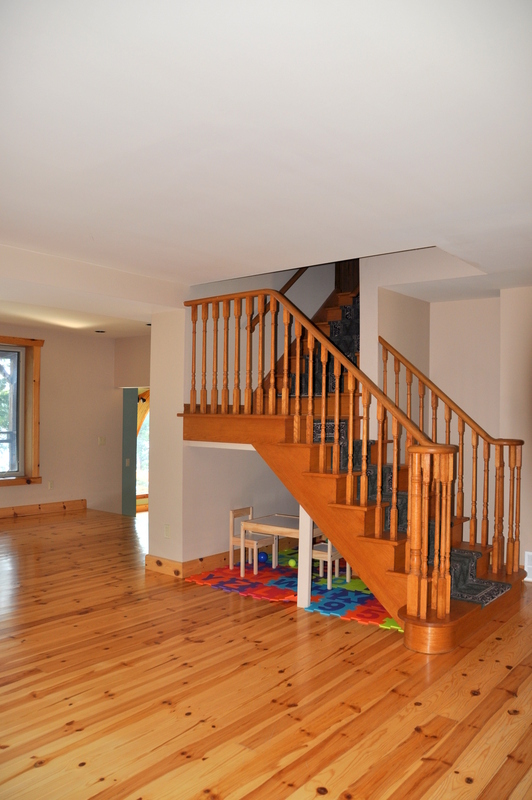 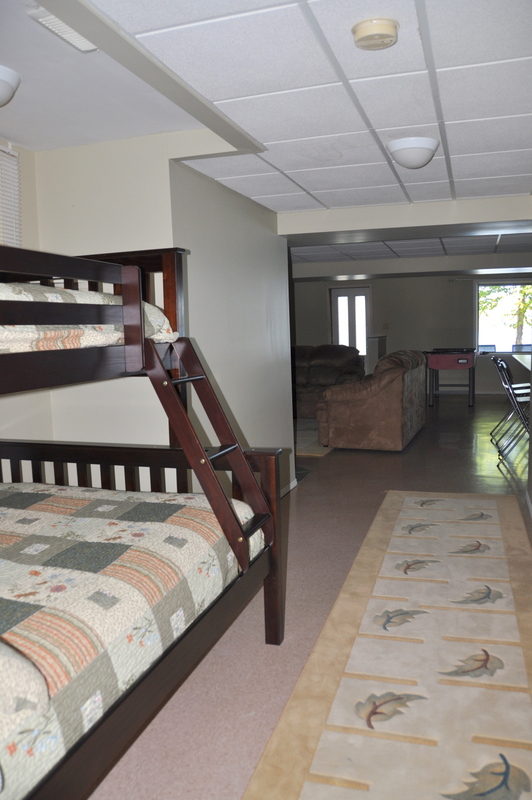 With a total of 6 bedrooms and 5 bathrooms, there is plenty of room for everyone! 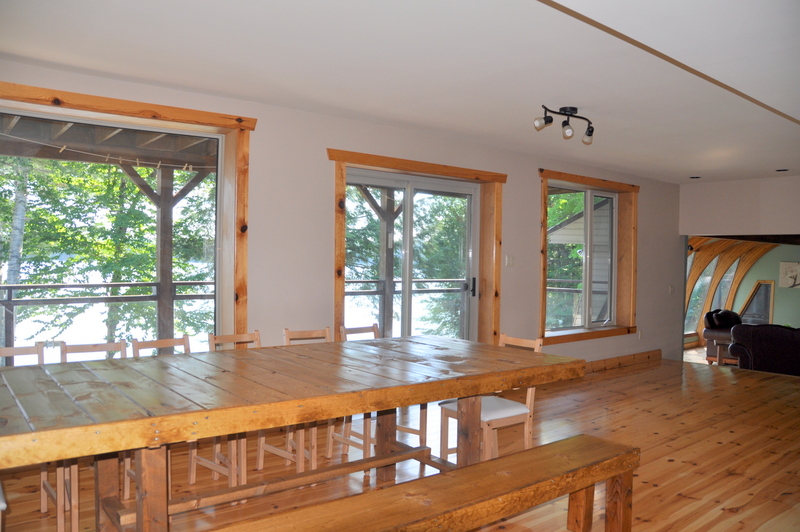 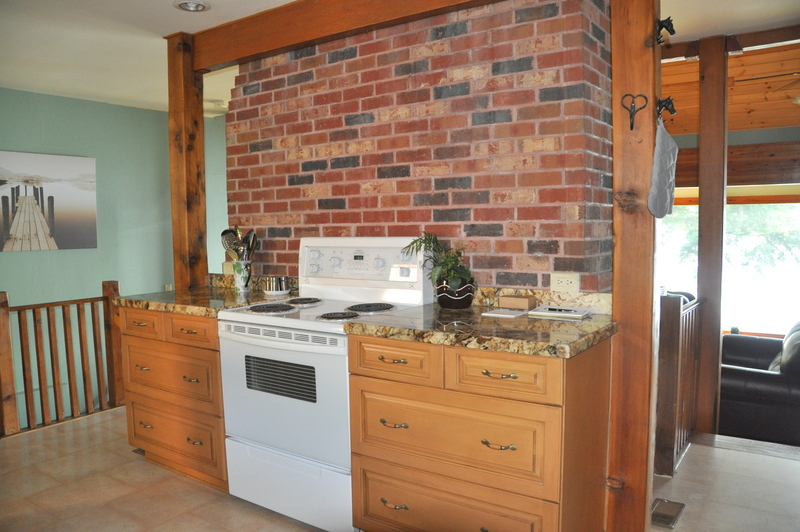 The wide expansive main floor with knotty pine floors offers two seating areas with fireplaces and covered walk-out decks and a large rustic dining table that seats up to 14 people overlooking the lake with a fully equipped kitchen just off to the side with granite counters and a separate breakfast table. 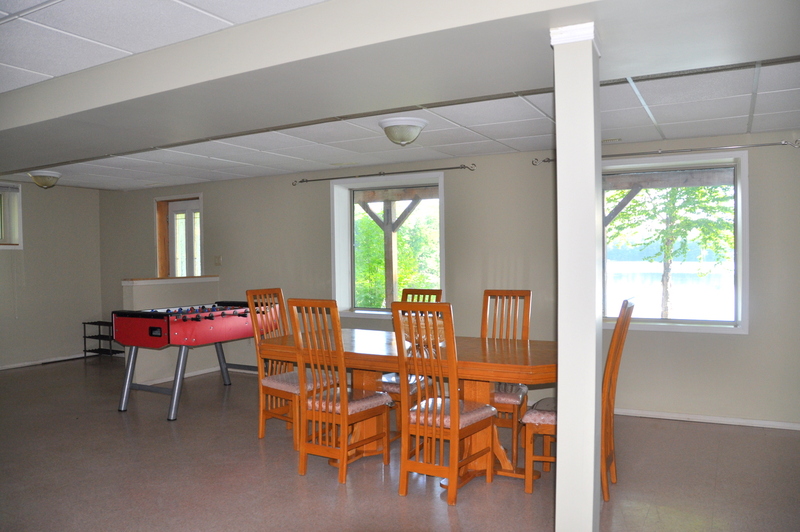 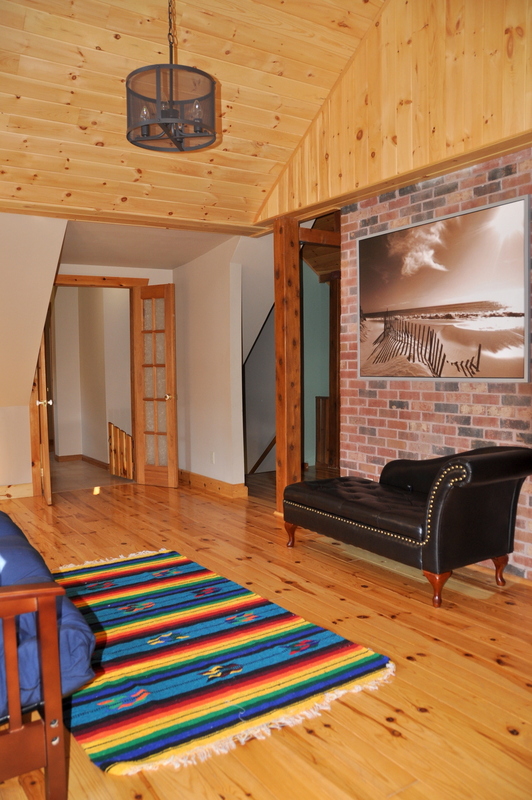 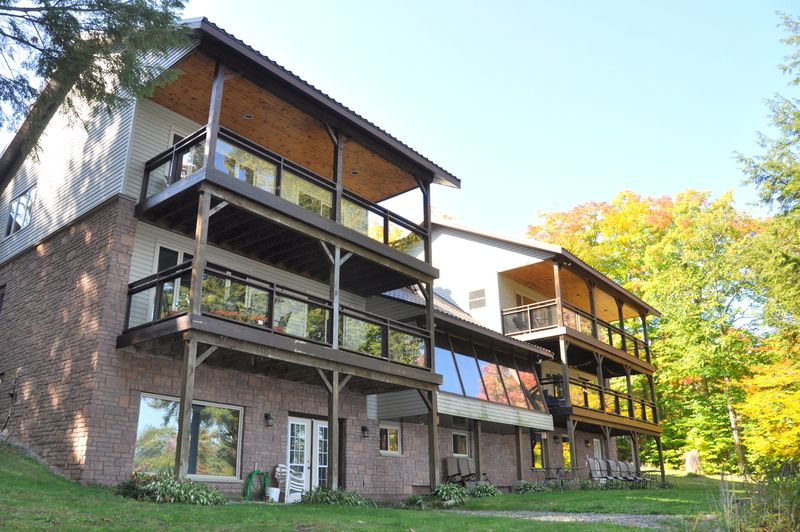 There are two large bedrooms and two bathrooms on this main level, with the lakeside bedroom having its own 3 piece ensuite and covered walk-out deck. 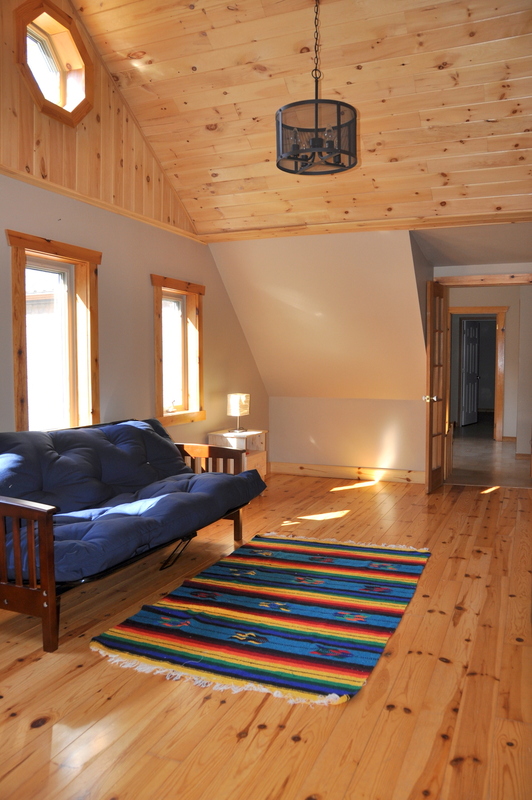 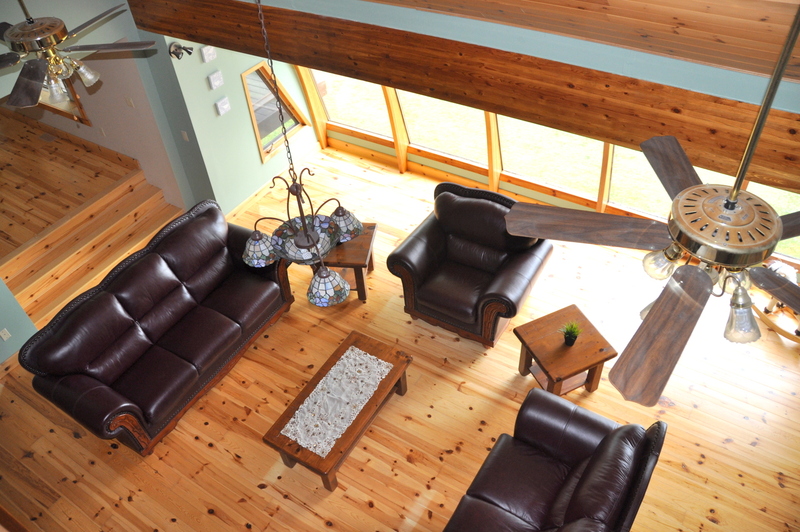 The upper level has two separate wings divided by a sitting area with a beautiful pine cathedral ceiling. 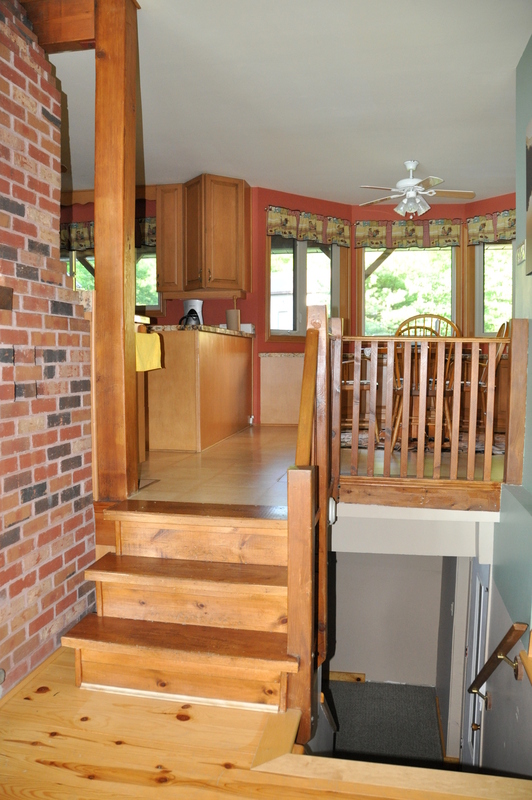 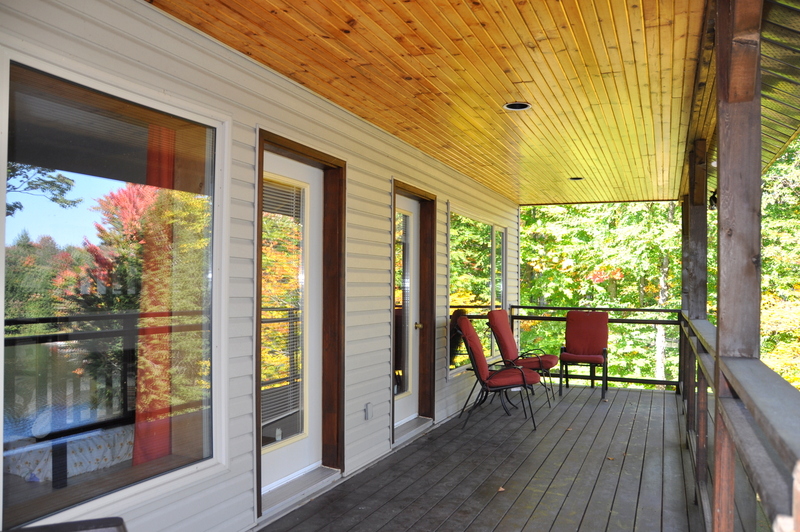 Both wings offer separate covered walk-out decks with lake views. 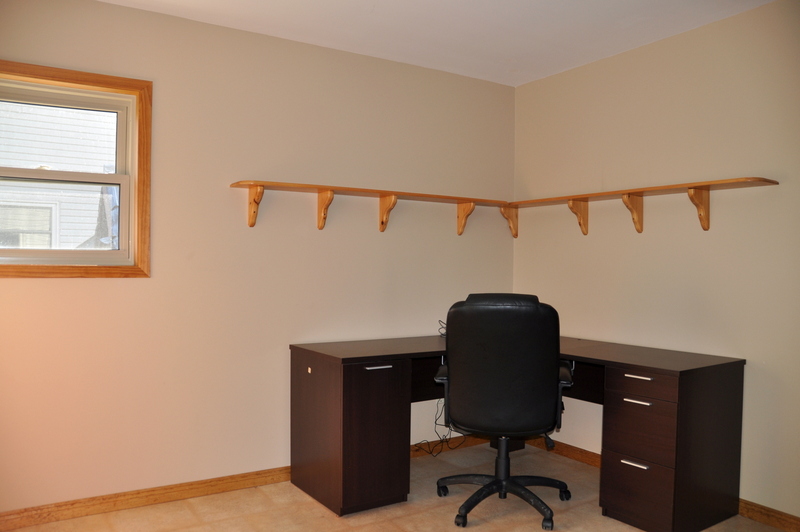 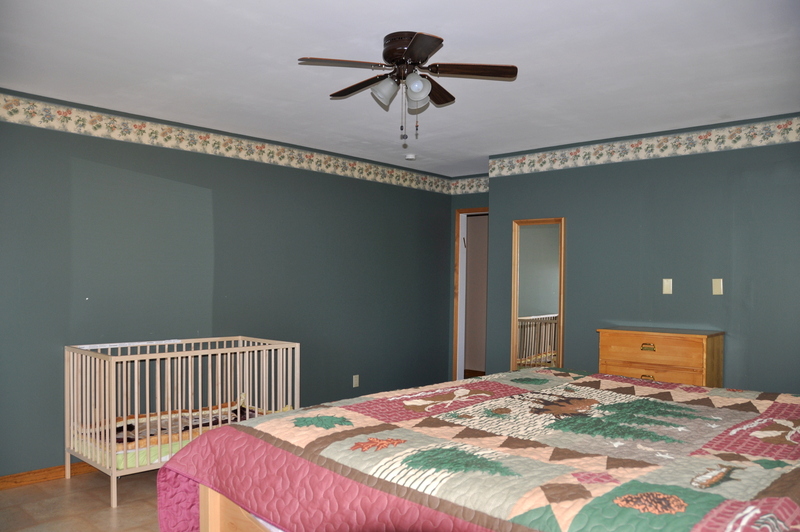 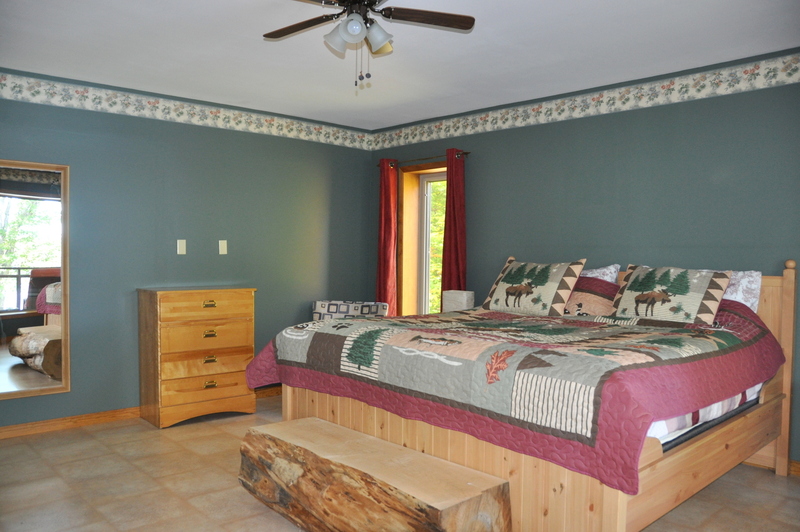 One side offers three bedrooms and two bathrooms. 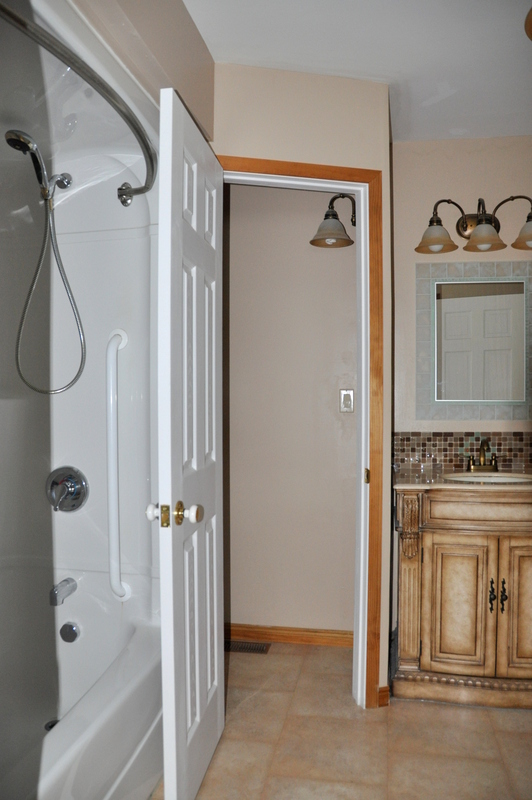 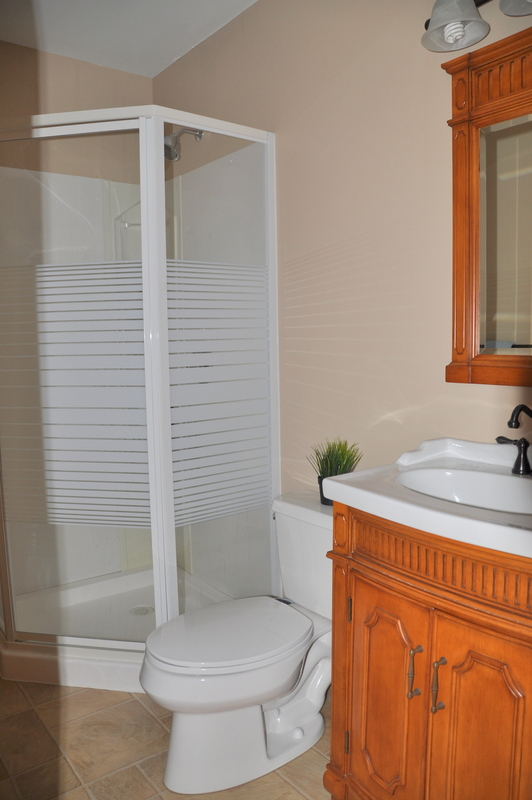 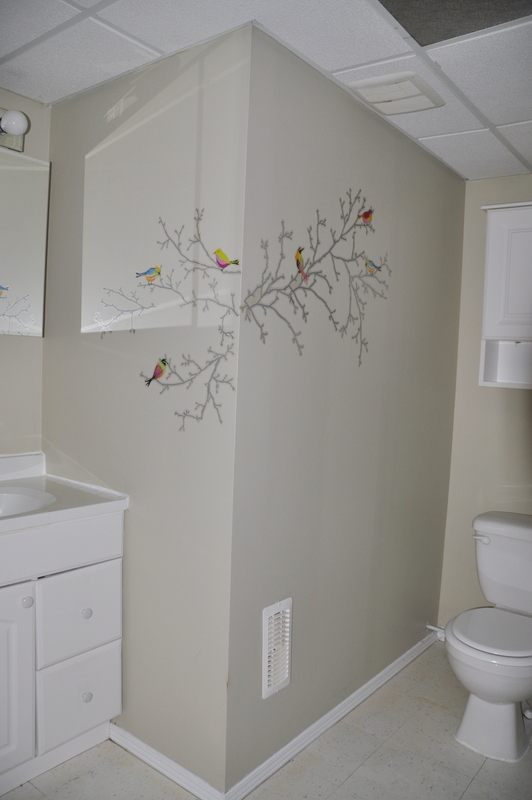 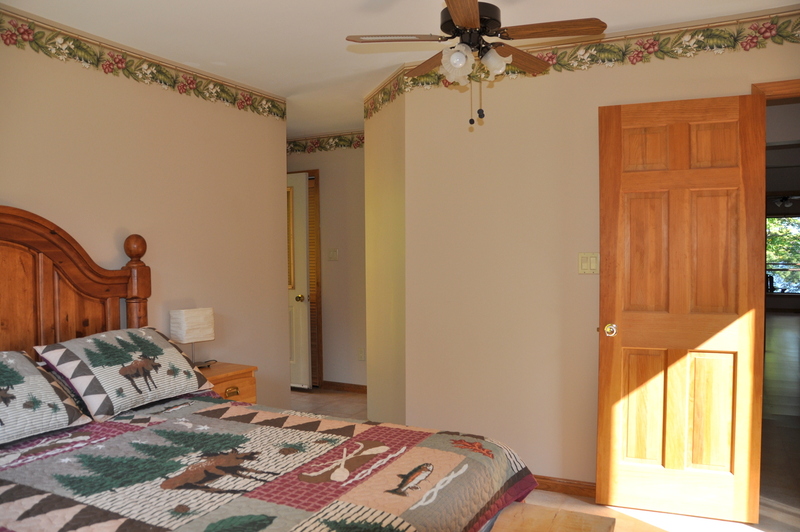 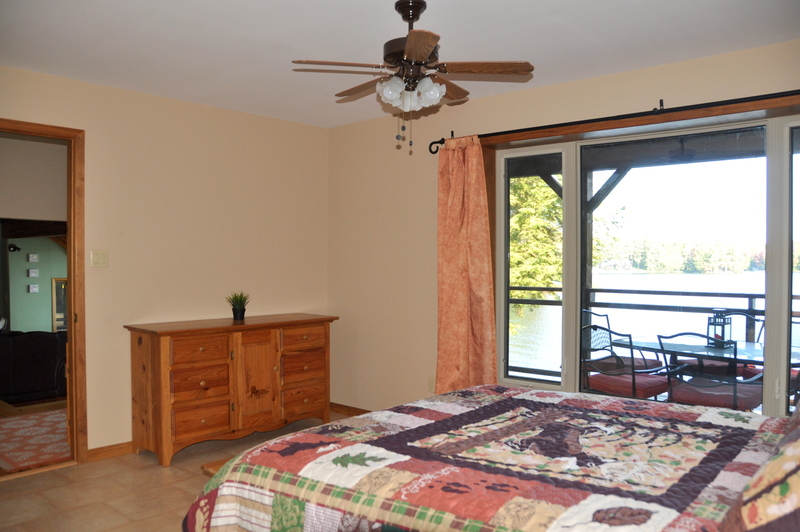 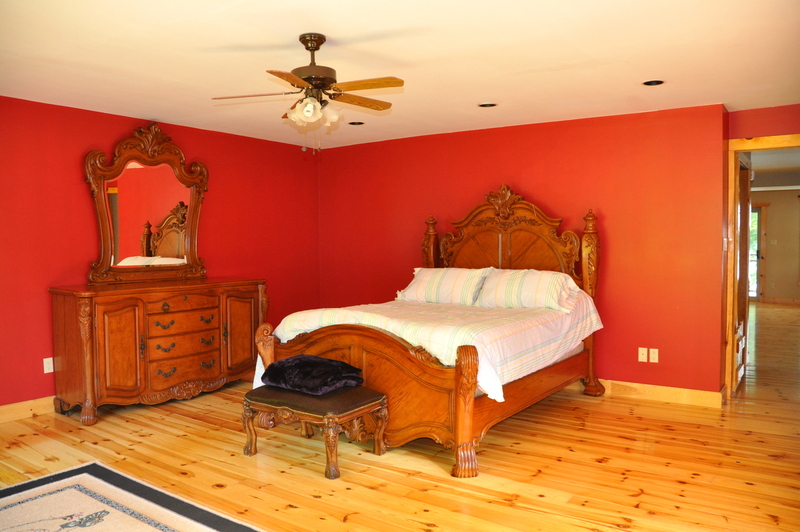 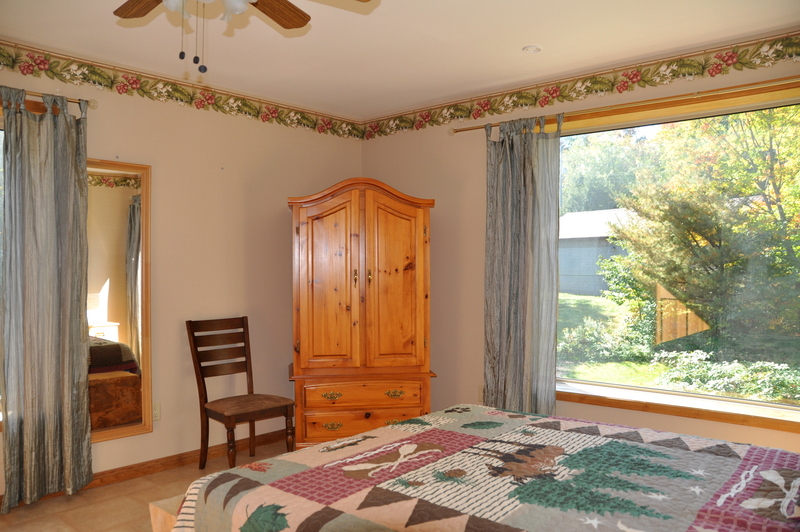 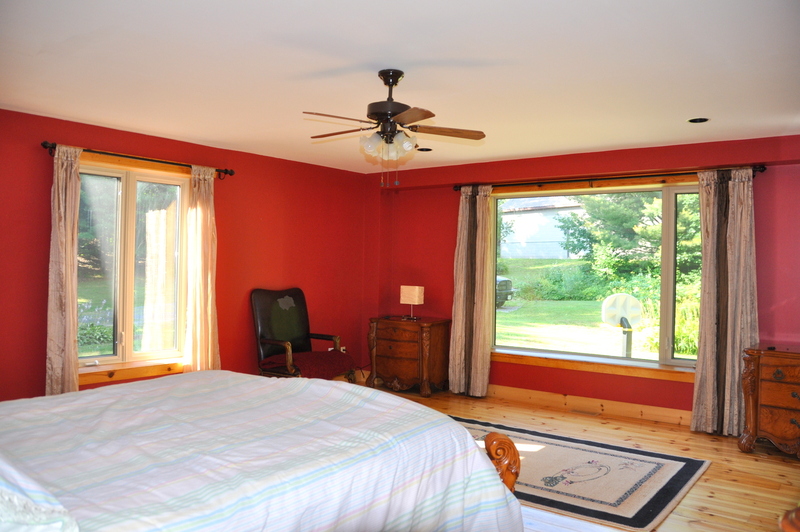 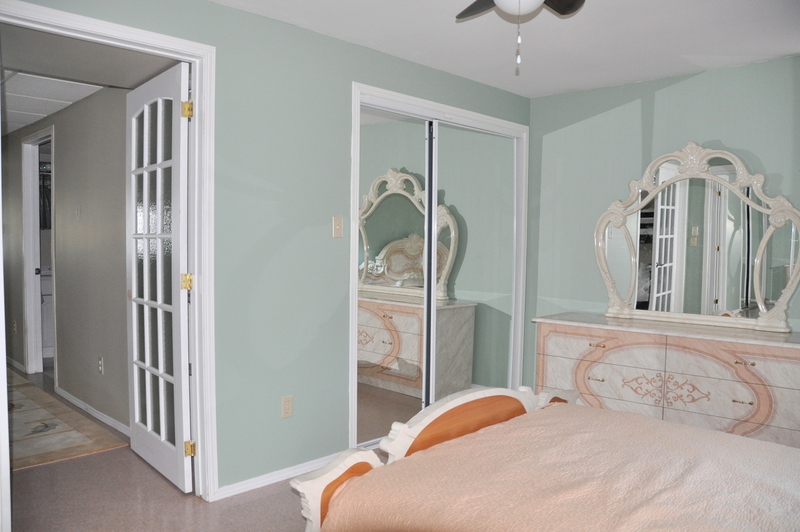 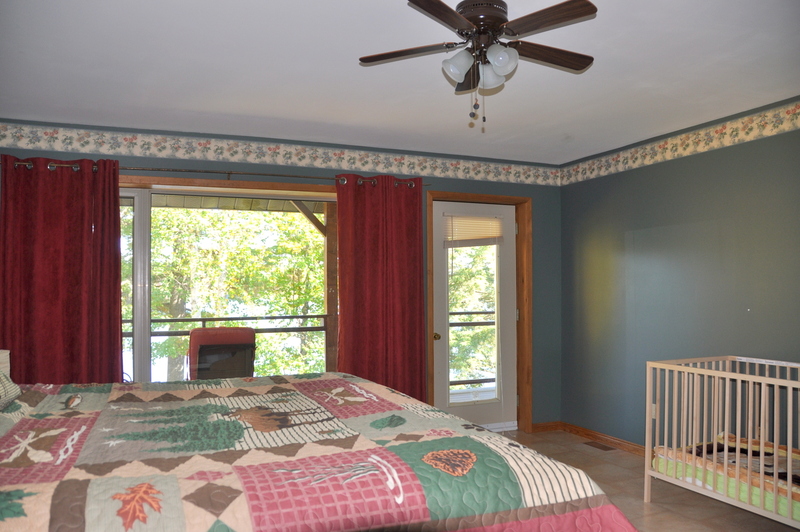 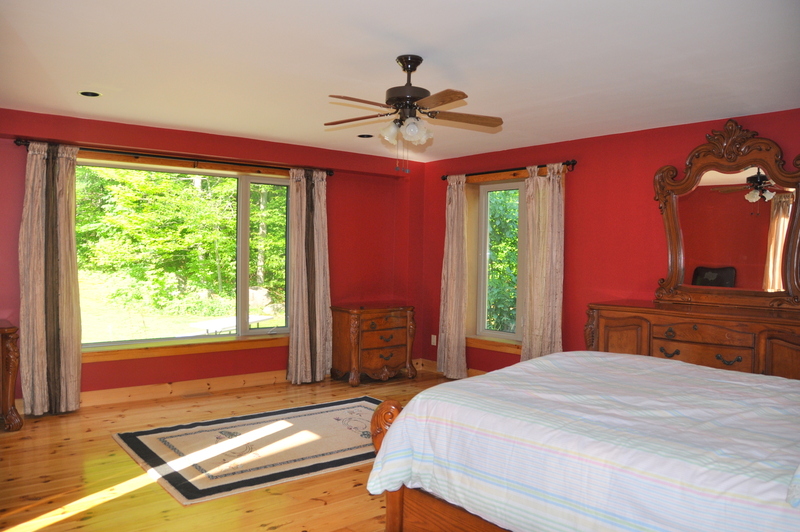 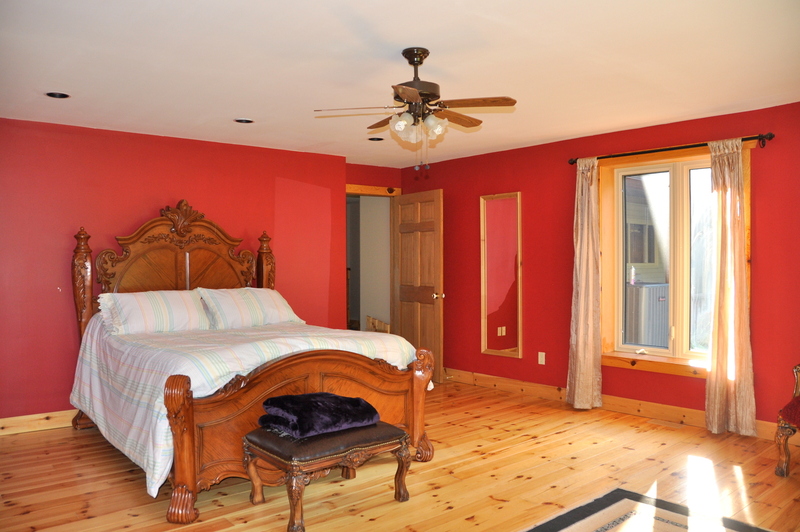 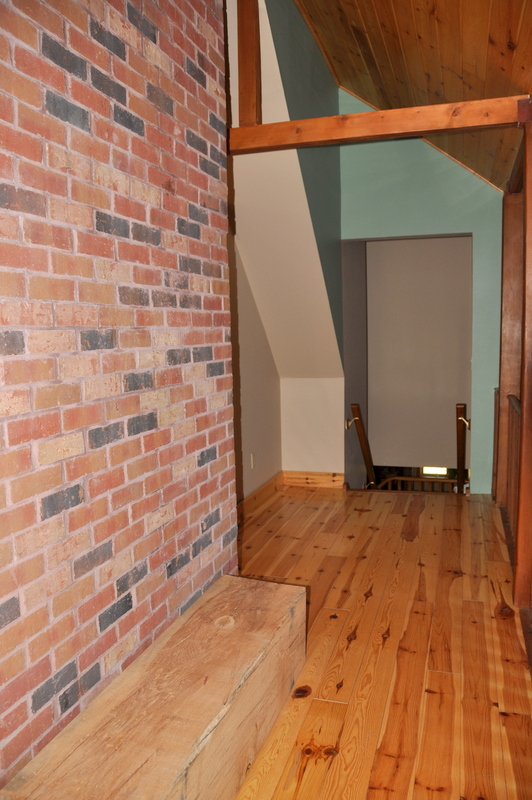 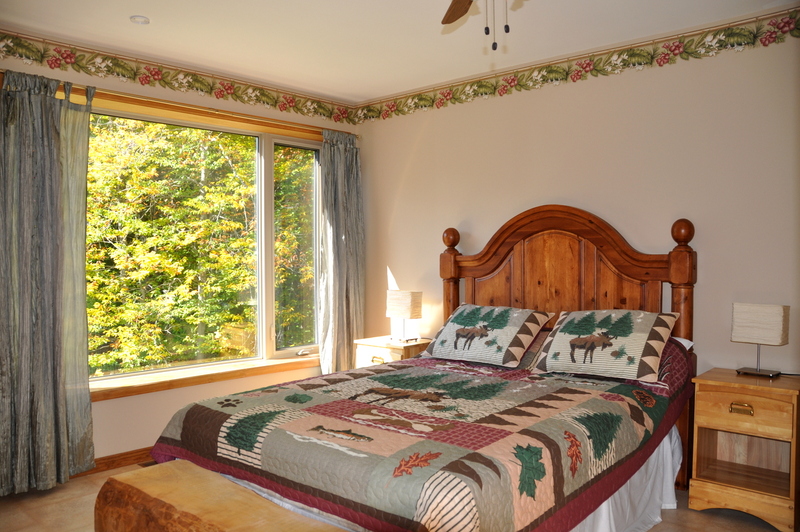 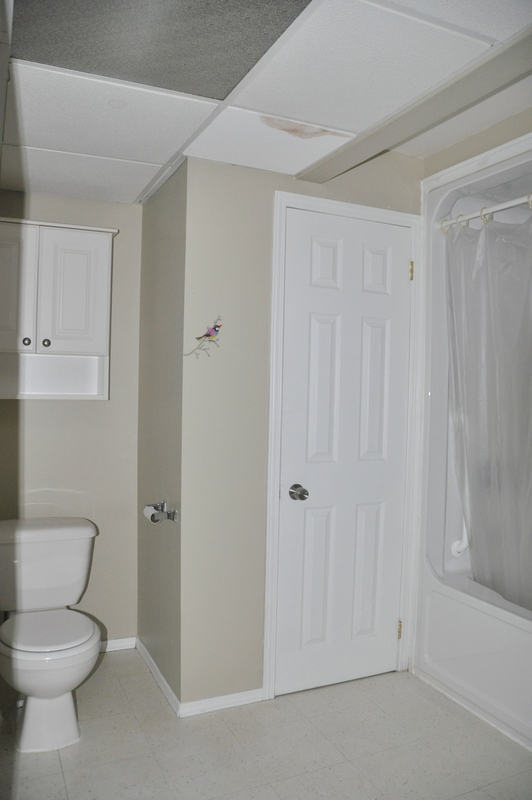 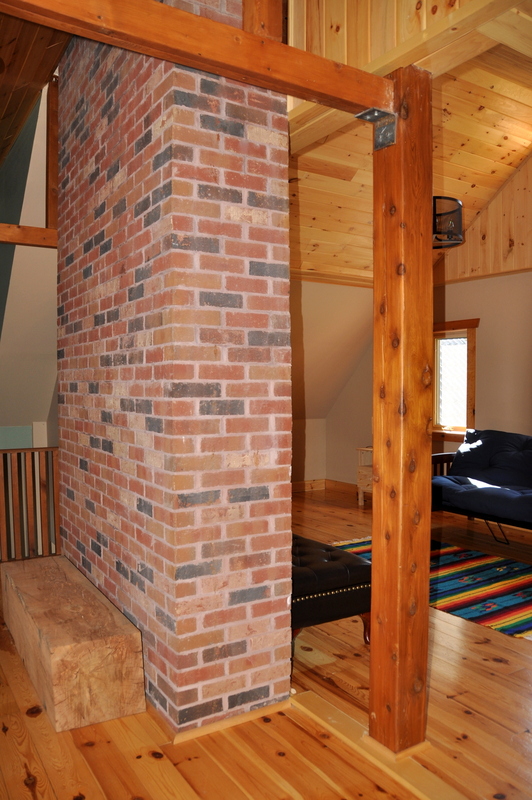 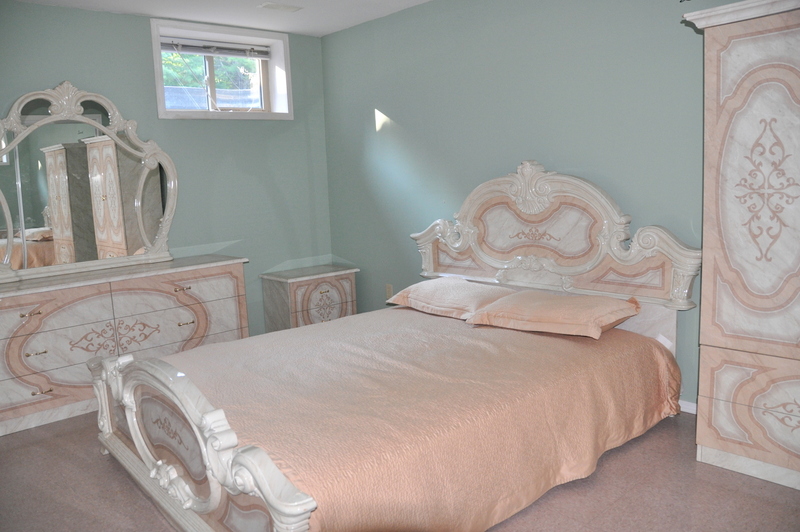 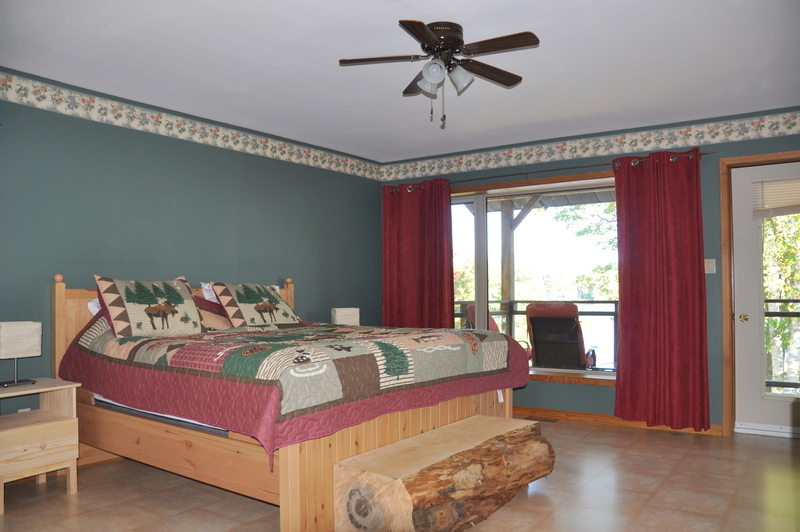 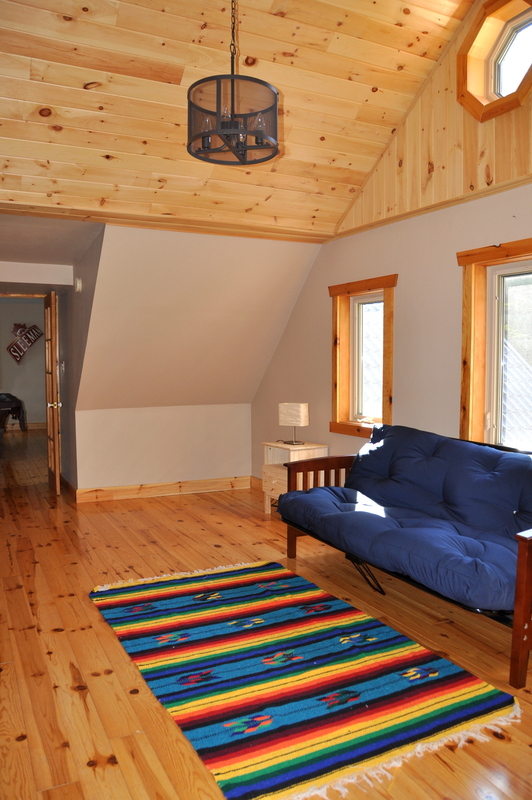 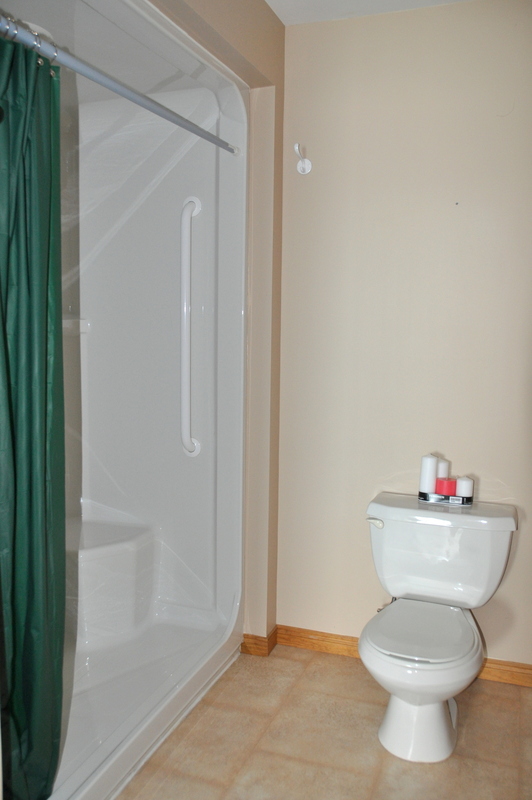 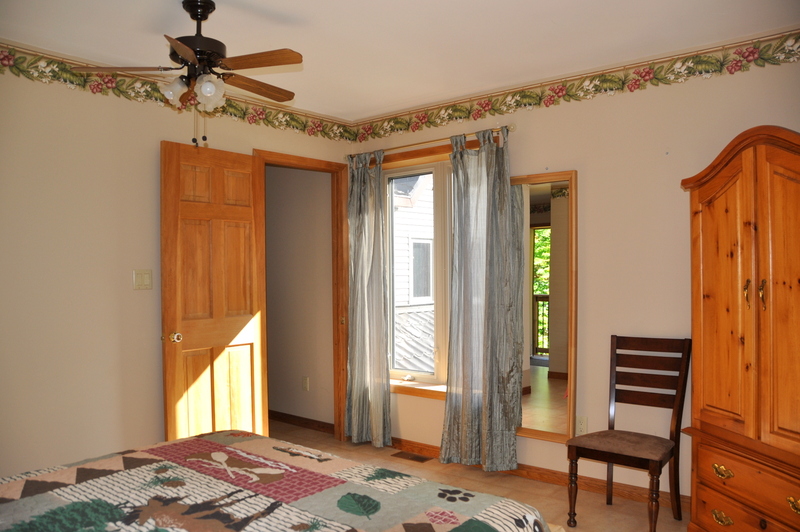 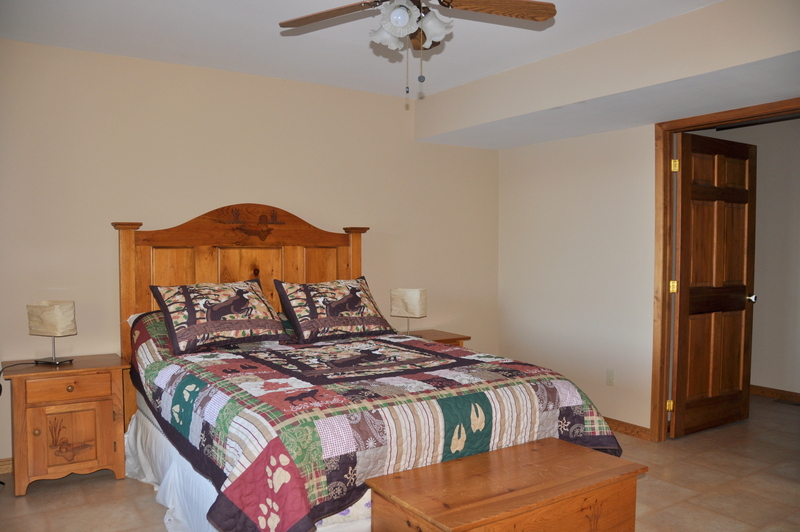 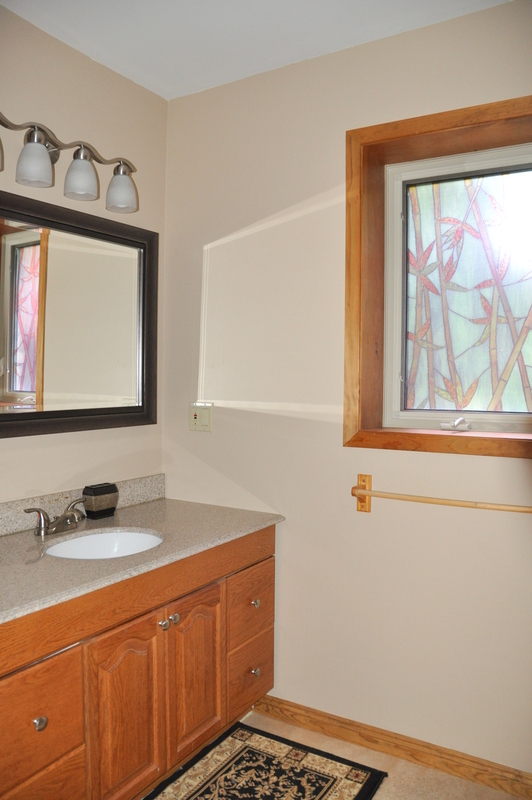 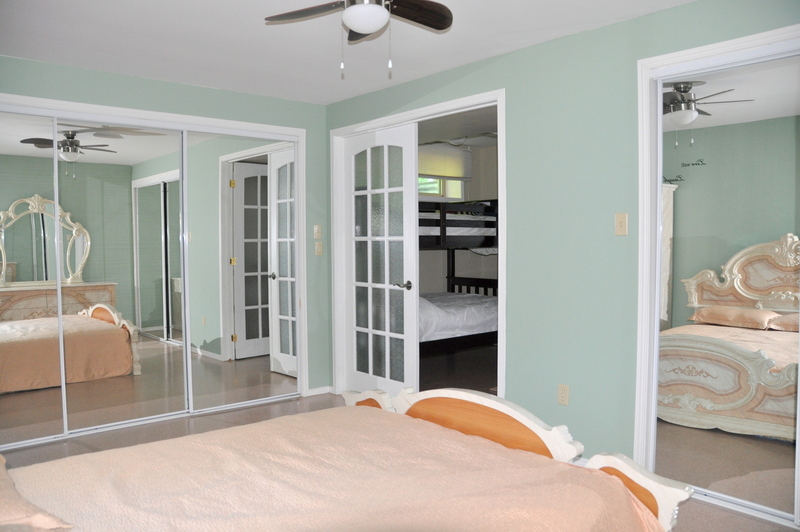 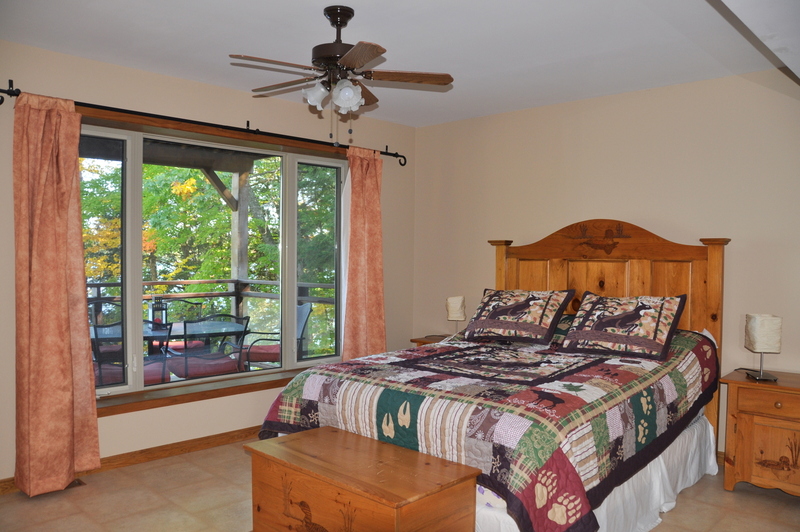 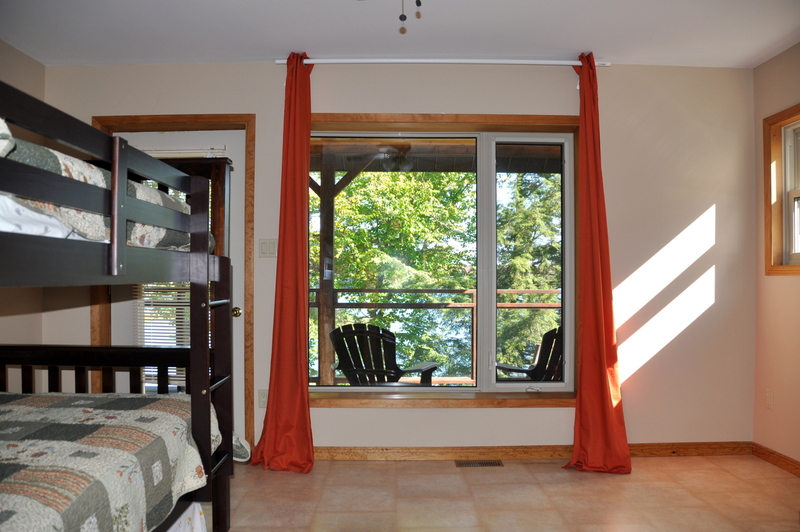 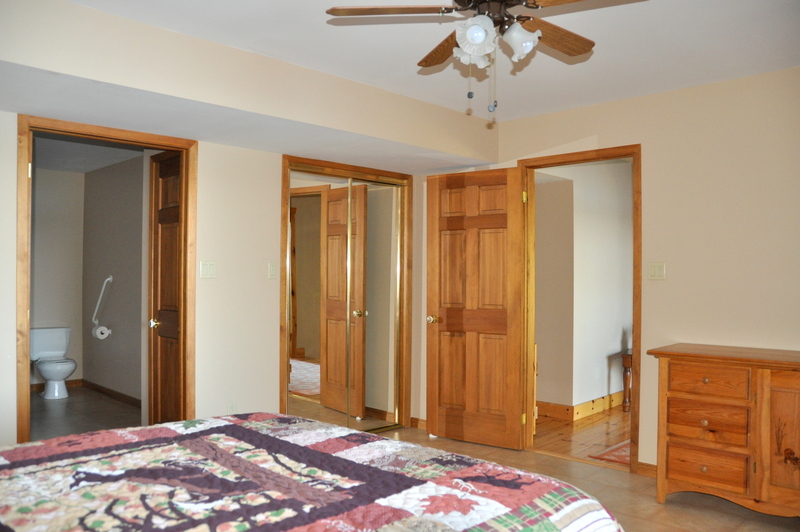 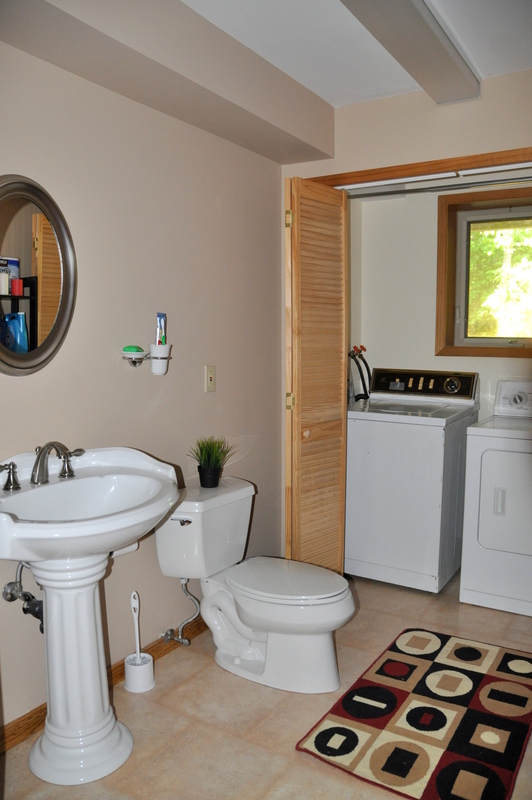 The lakeside master bedroom has its own ensuite bathroom and covered walk-out deck. 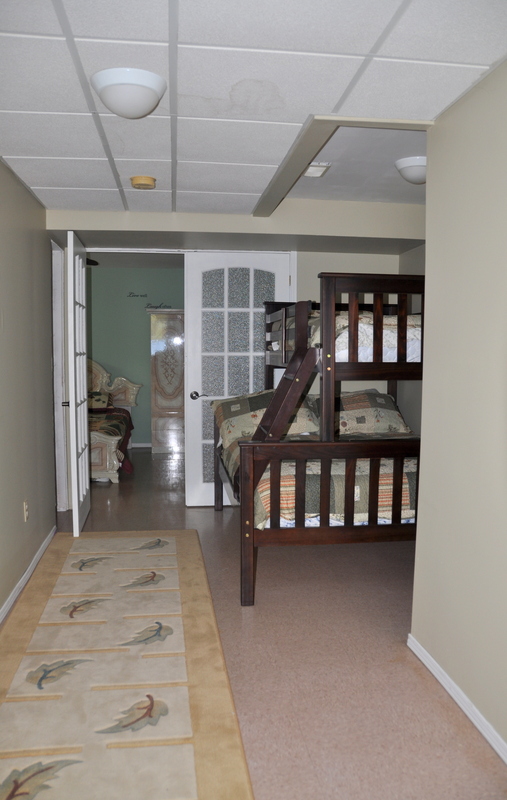 Next to it is a bedroom with queen bunk beds and a walk-out to the same deck, while the third spacious bedroom is tucked into the driveway side with a hallway 3 piece bathroom right beside it. 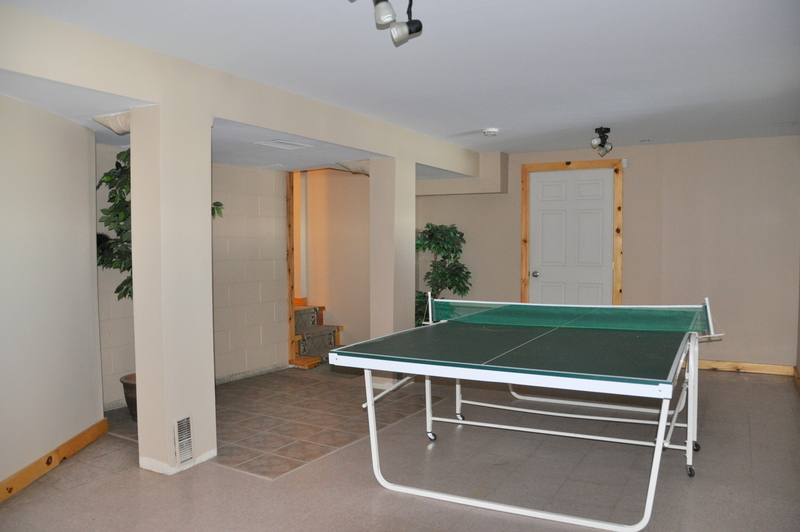 The fun starts in the opposite wing of this upper level with a large games room your entire family will be entertained in. 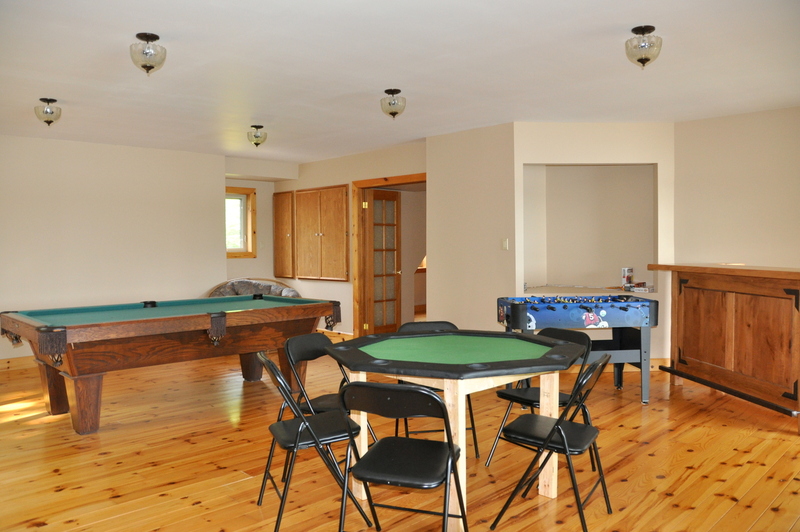 With a bar area and bar fridge, big screen TV, billiard table, foosball table and a card table, your family will never be bored on inclement days! 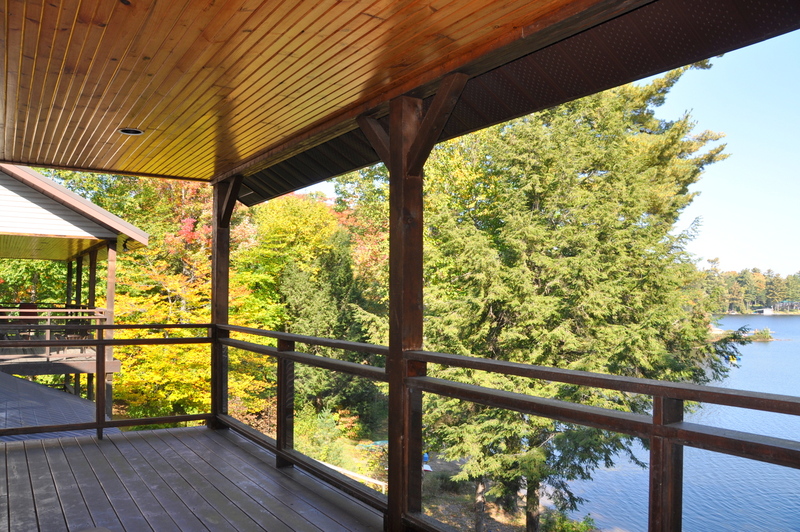 Even if it gets too heated with all the competition, there is a covered walk-out deck to retreat to. 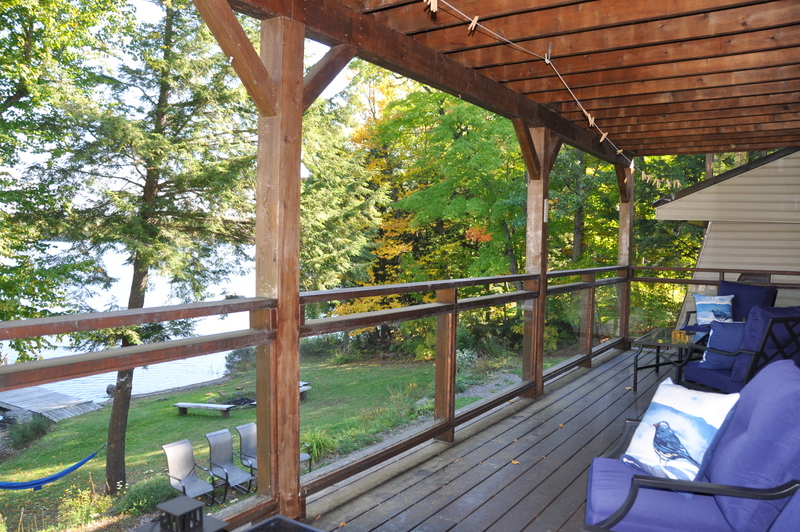 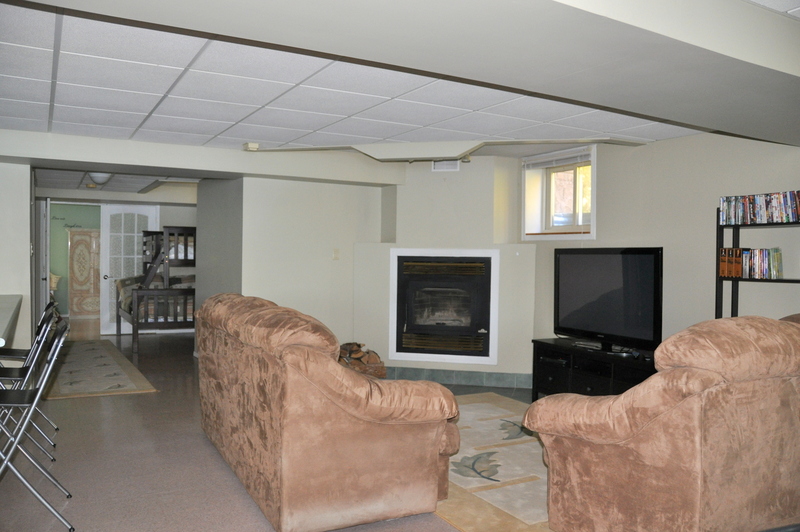 The lower level is above grade with large windows along the front living space with a walk-out to a covered deck and out to the lawn and waterfront. 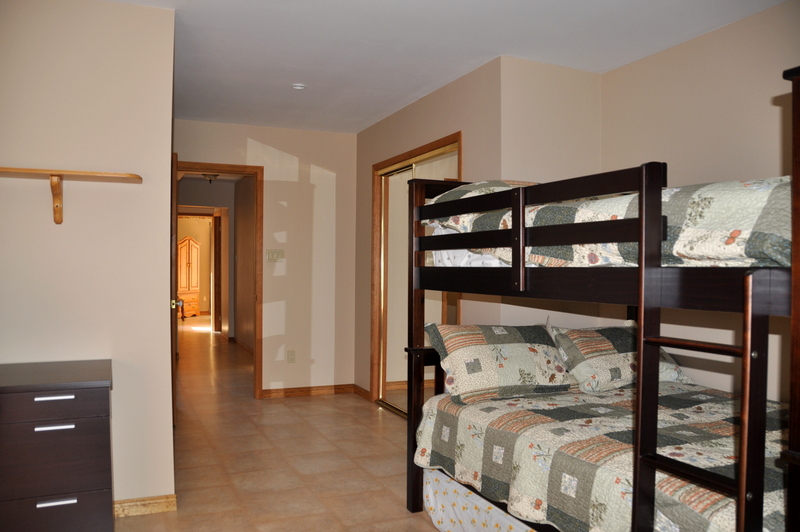 It is self-contained with a kitchen, dining room, living room, 4 piece bathroom and a one bedroom suite adjacent to a single/queen bunk combo. 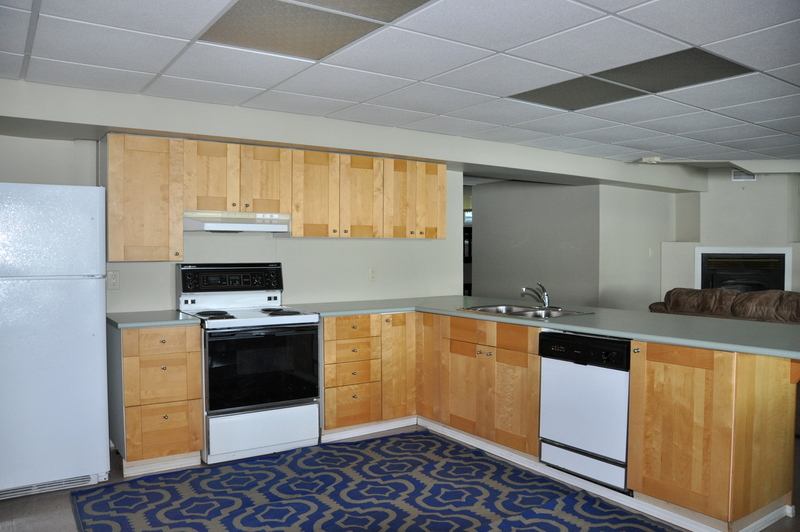 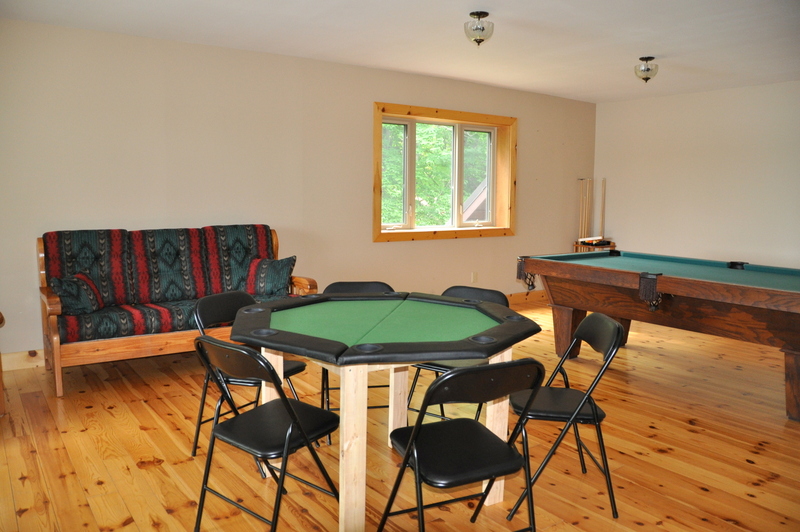 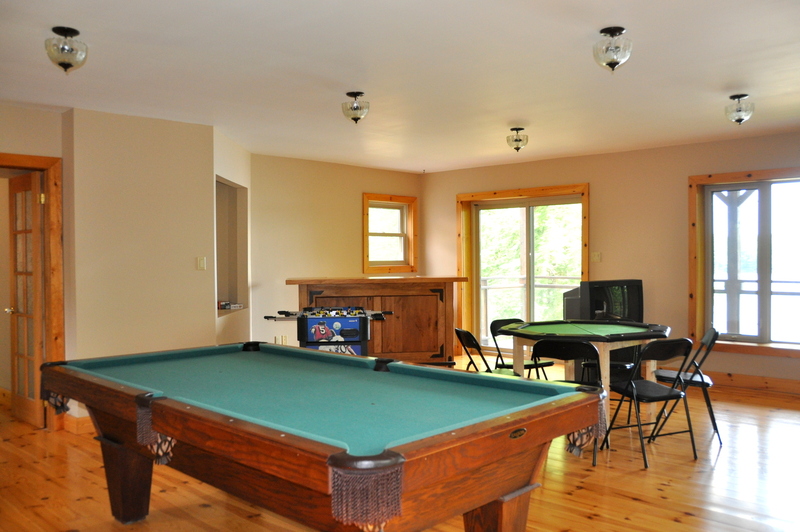 Separately from the upper level games room, there is also a foosball table and ping pong table on this level as well as a fireplace to sit back and enjoy on those cooler evenings. 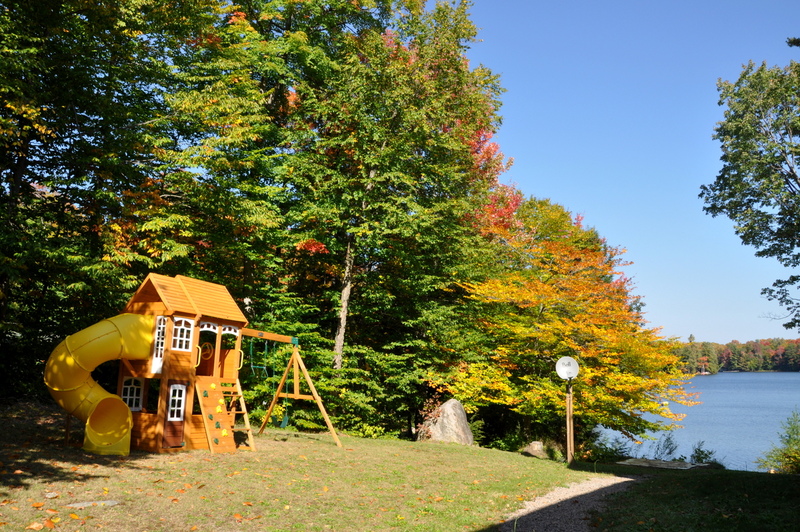 The grounds are beautifully manicured with a gently sloping lawn down to the waterfront and a shallow hard packed sandy area just off to the side of the dock, ideal for both young and old alike. 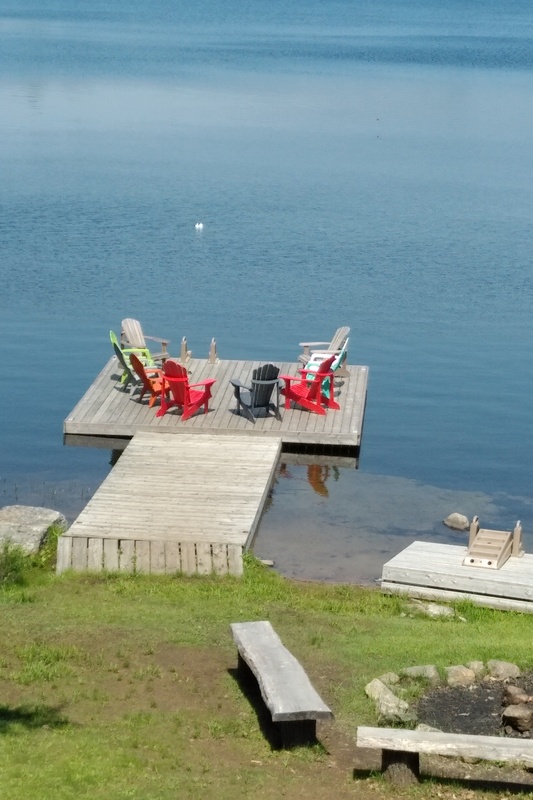 The water at the end of the dock is about 5 ft. deep, perfect for shallow diving out to the newly built swim raft. 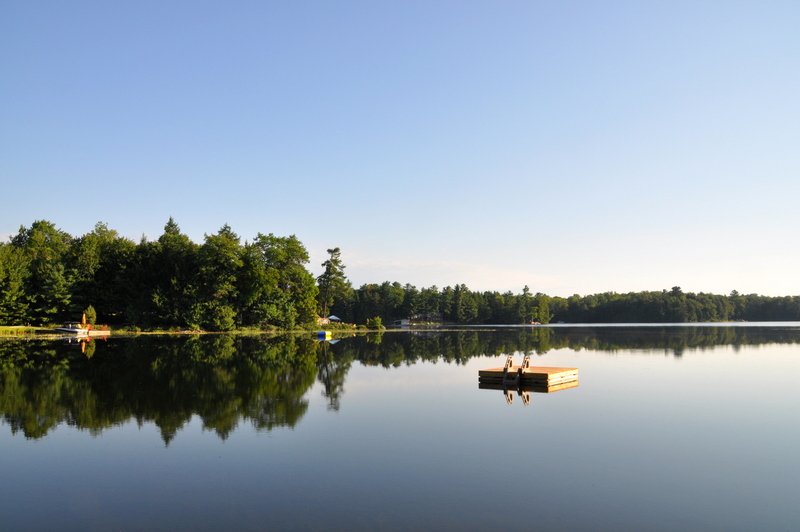 With a canoe, paddleboat and 2 kayaks at your disposal, days of paddling and exploring the lake are a definite must.It will be hard to tear yourself away from the lake and endless hours of swimming, paddling and sunning but if you can, head into the quaint village of Rosseau and get a fabulous taste of cottage country local shops and eateries. 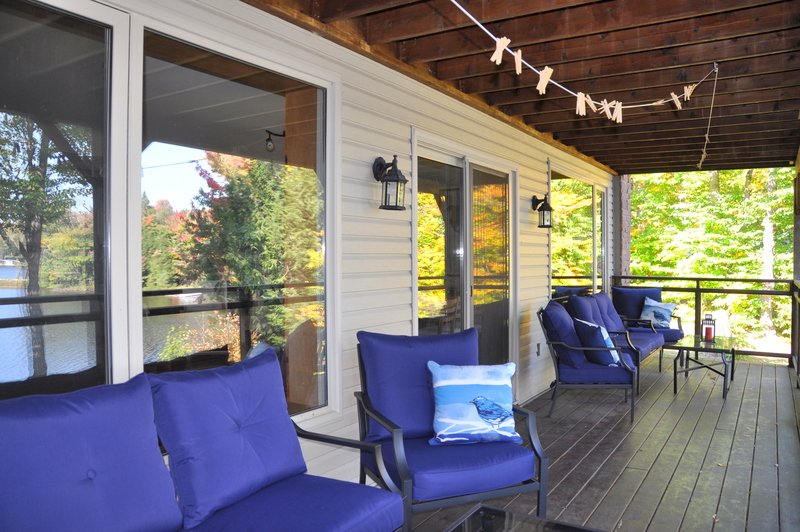 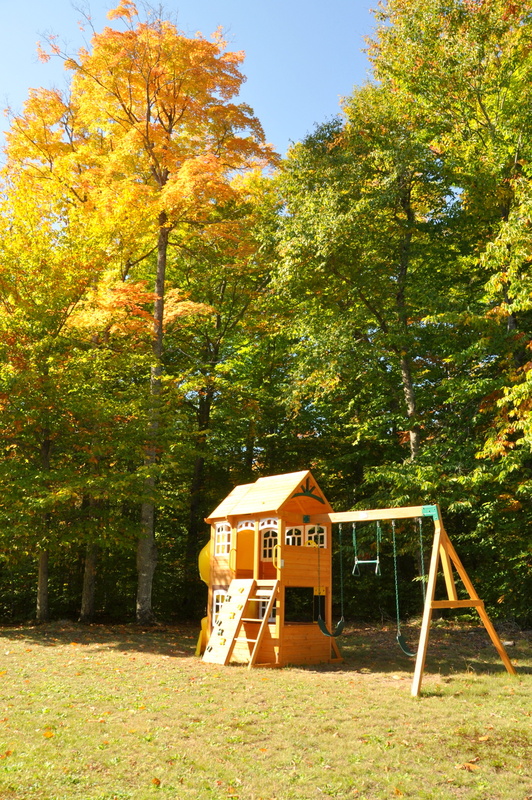 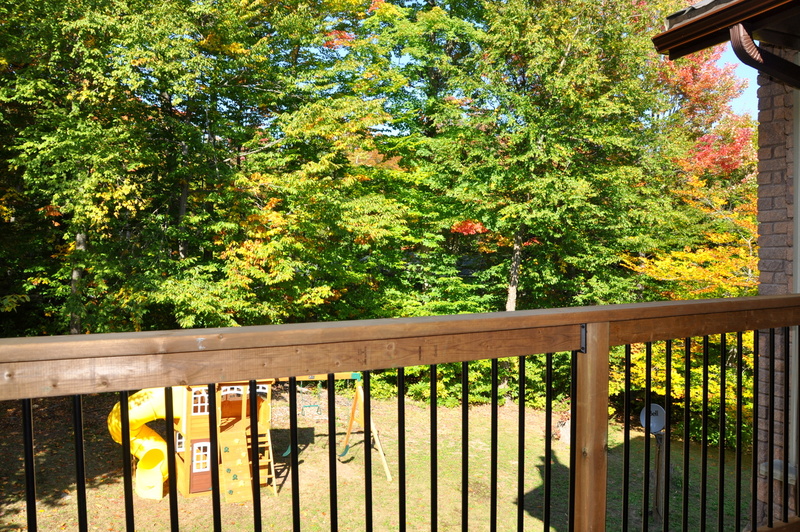 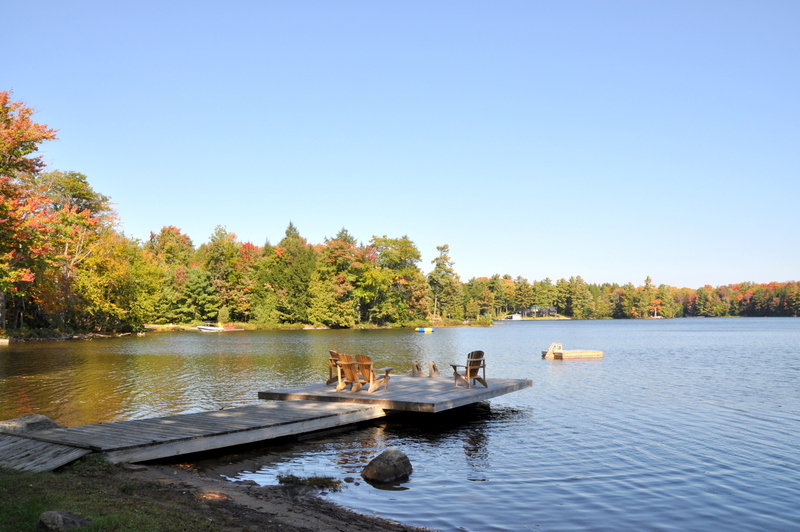 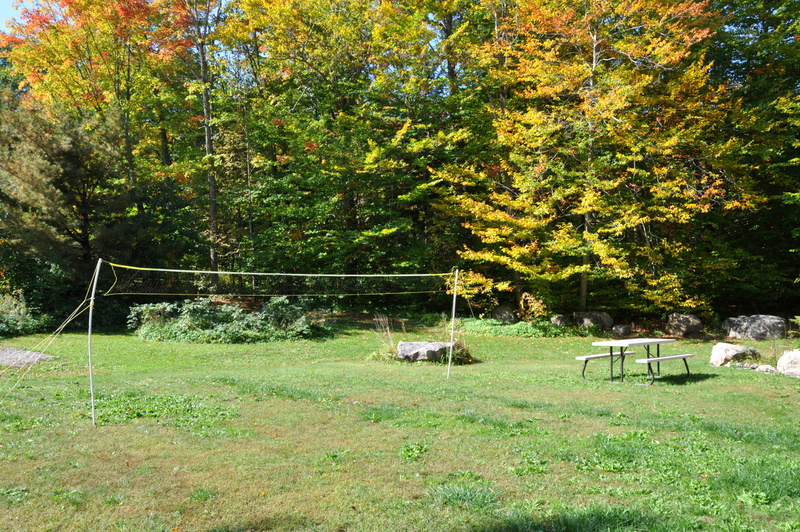 Being a four season cottage equipped with so much for all ages and in a region known for its beauty and year round activities, you will never bore of something to do. 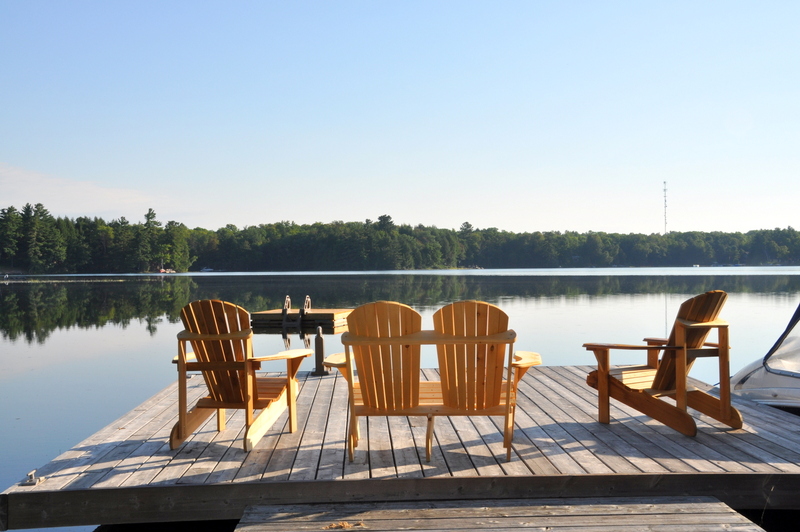 And as your day unfolds, start up the BBQ, take in peaceful evenings at the dock and end it around the fire pit reminiscing about the days adventures...life is good! 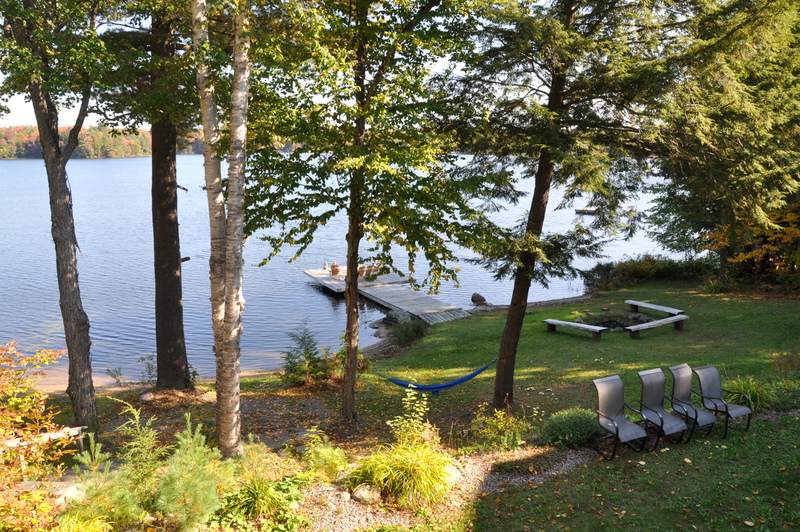 LOCATION: Approx. 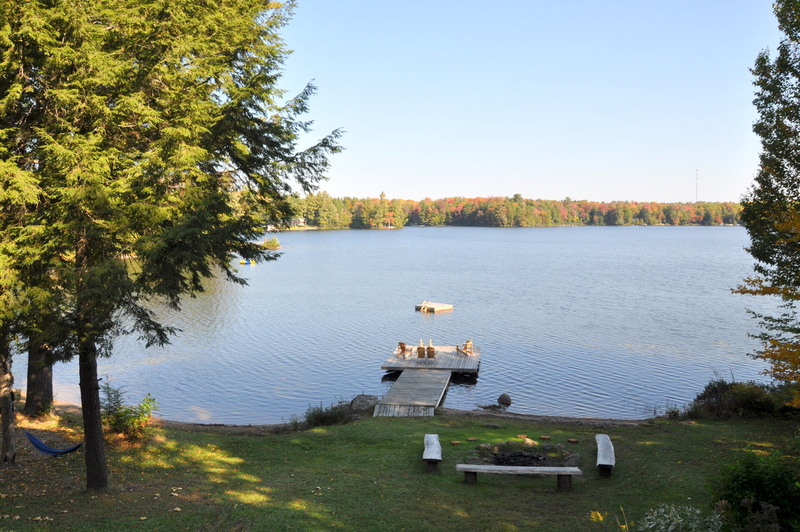 2.5hrs north of Toronto, off Hwy #141 and Hwy #69, between Rosseau (15min.) 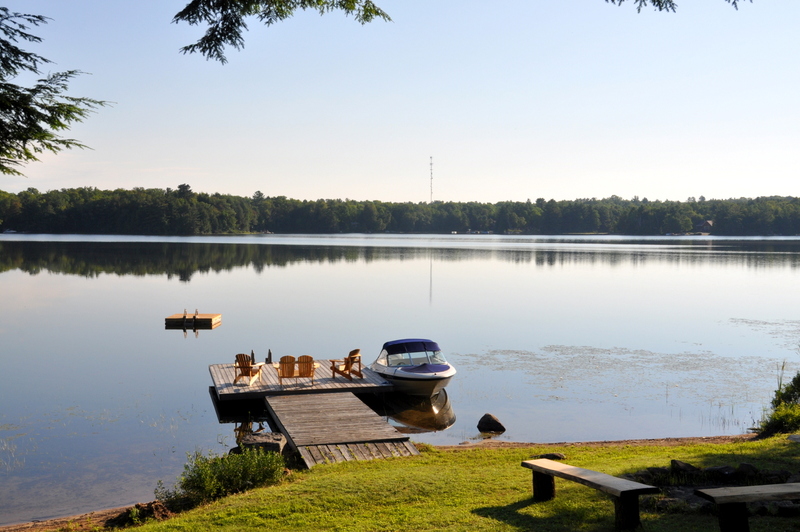 and Parry Sound (25min.) 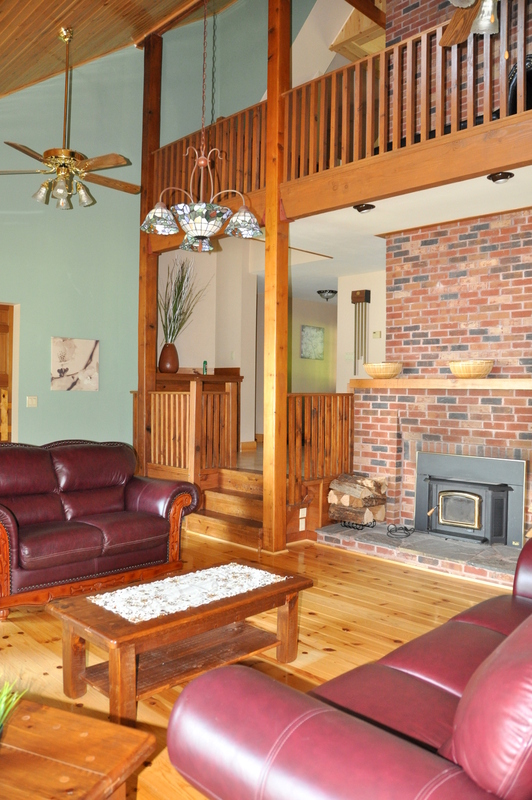 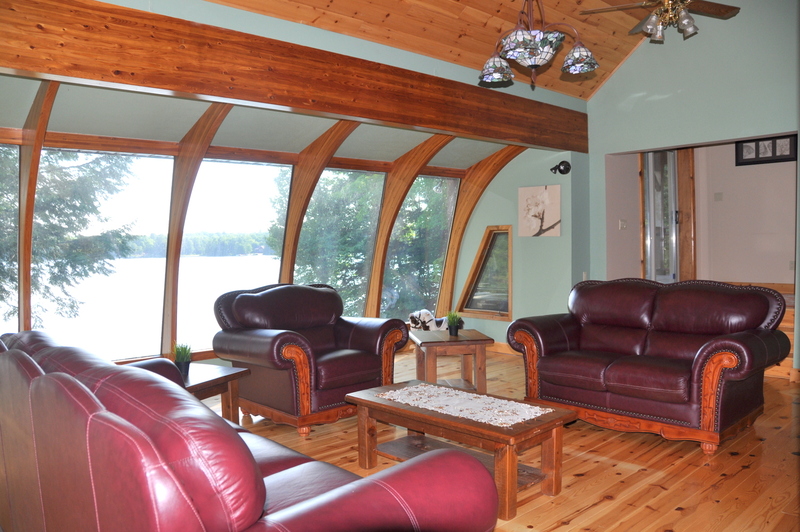 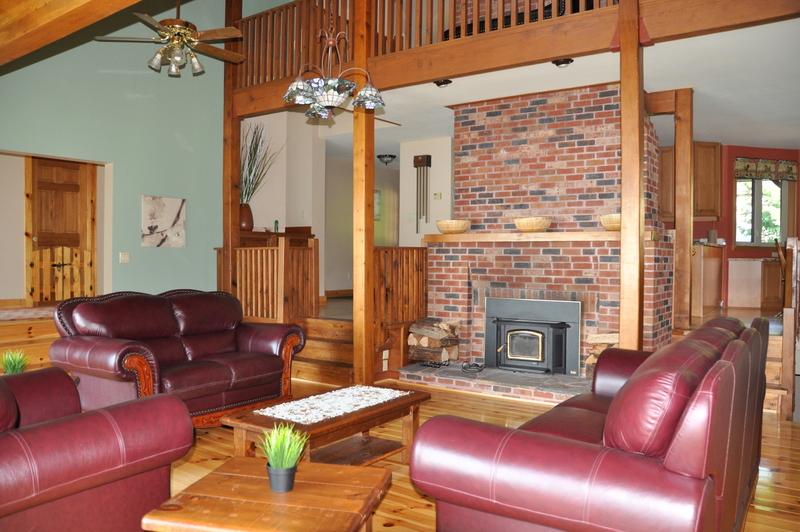 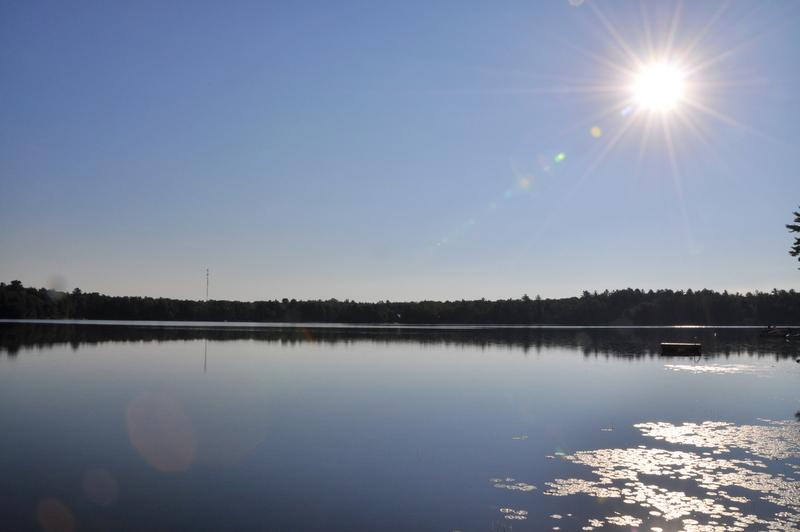 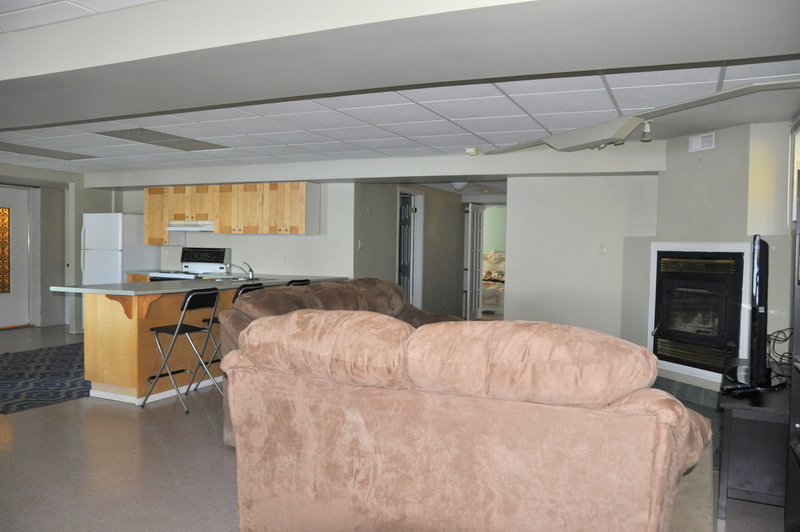 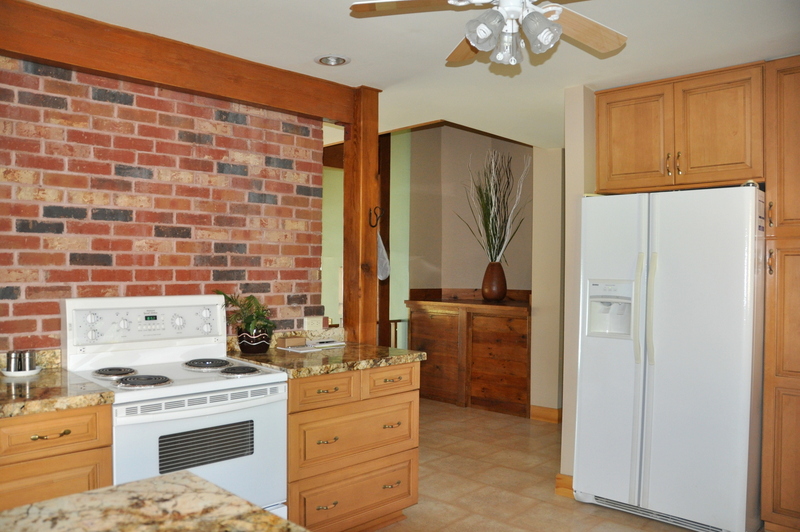 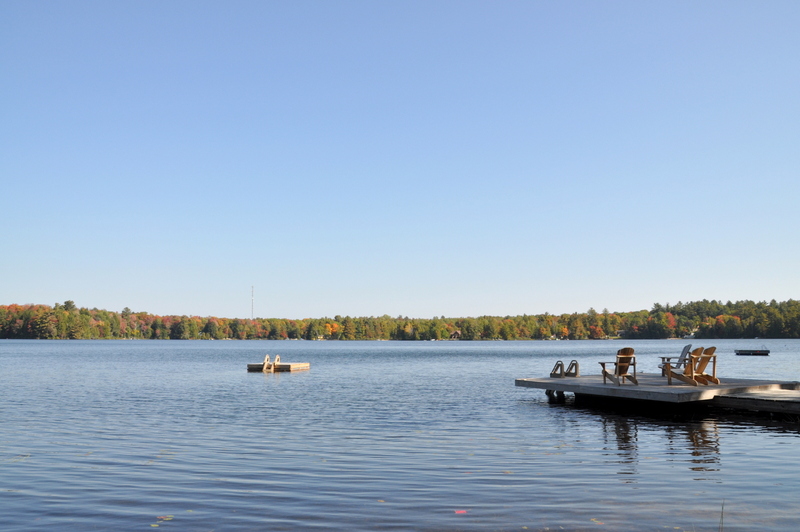 Shopping, dining, LCBO, groceries and most all amenities are available in Parry Sound. 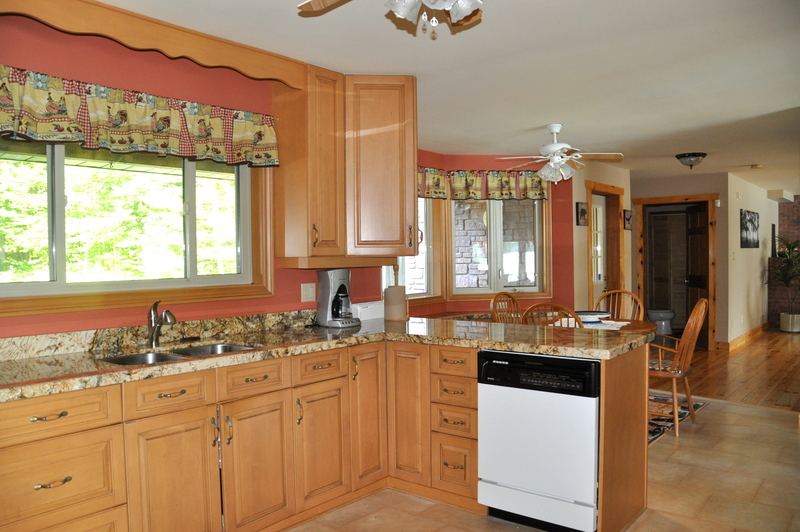 Also close to some of the great golf courses the area has to offer. 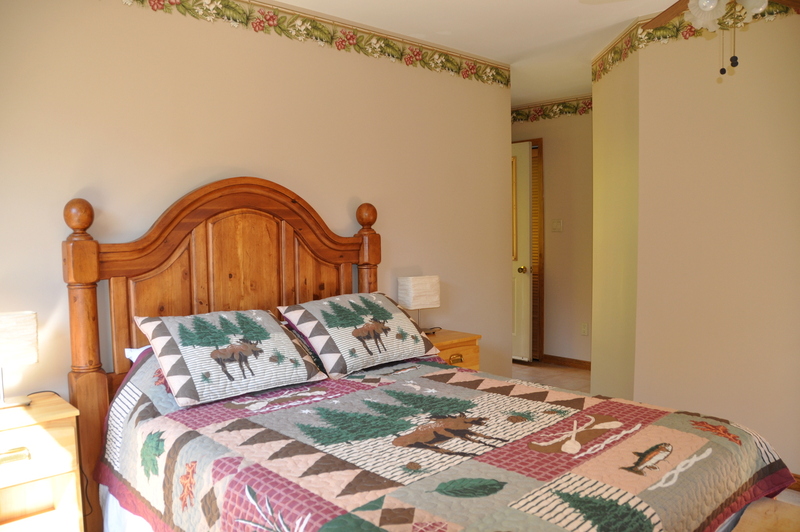 Pet upon approval, no smoking, maximum number of occupants is 18, bring own towels and linens, noise restriction after 11 PM.